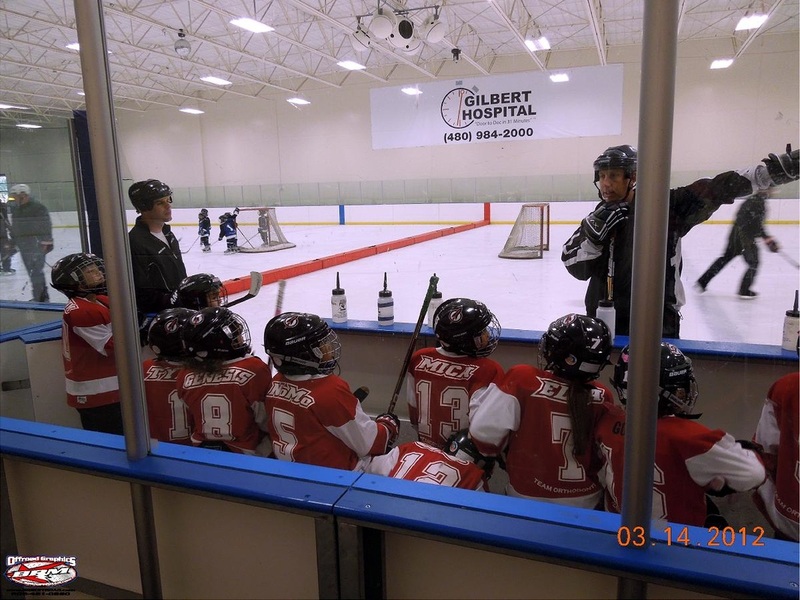 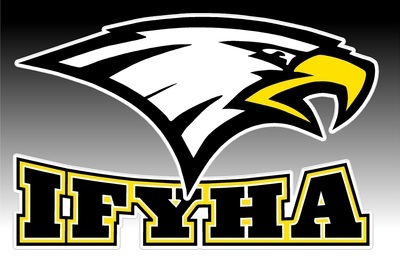 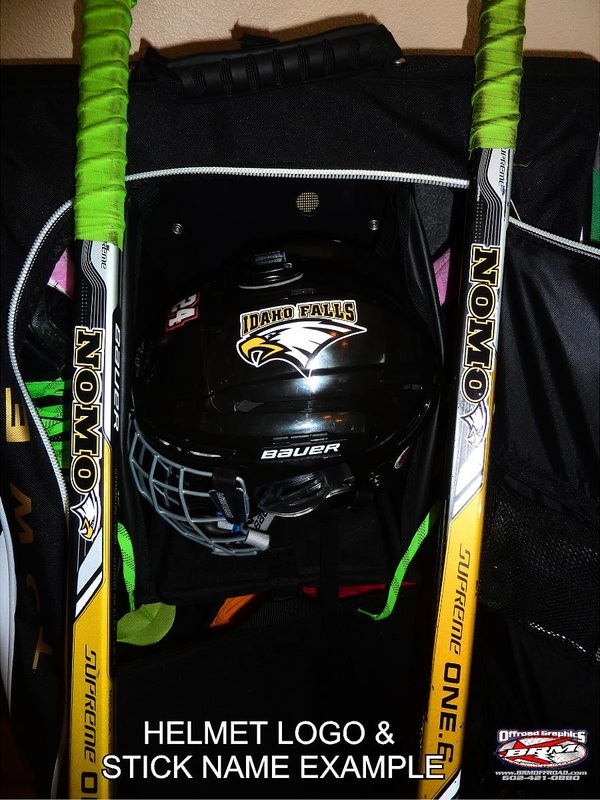 Thank you for visiting our Hockey Team page. 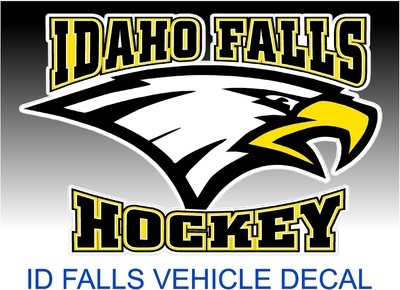 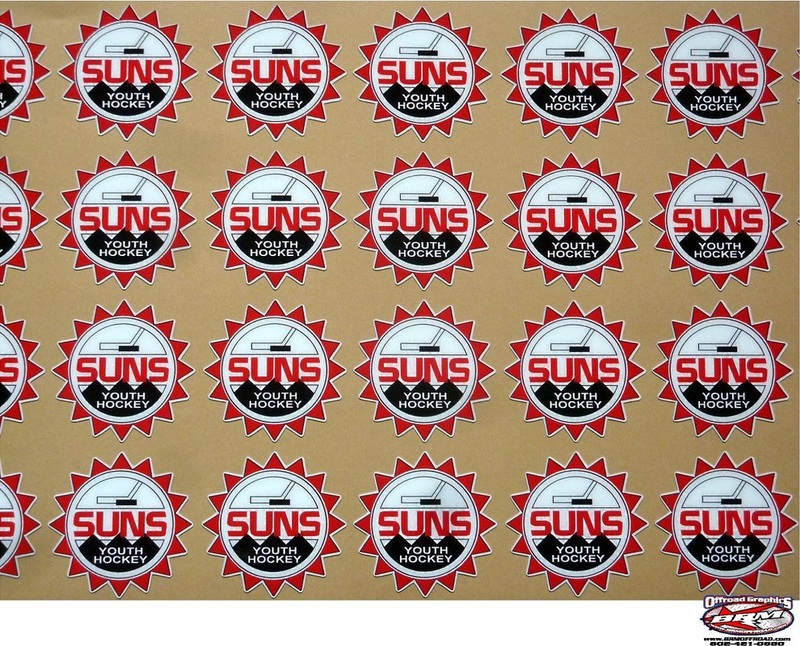 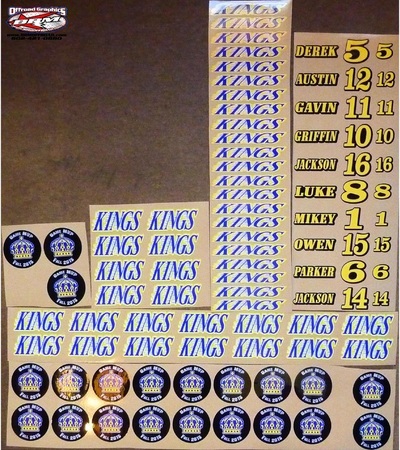 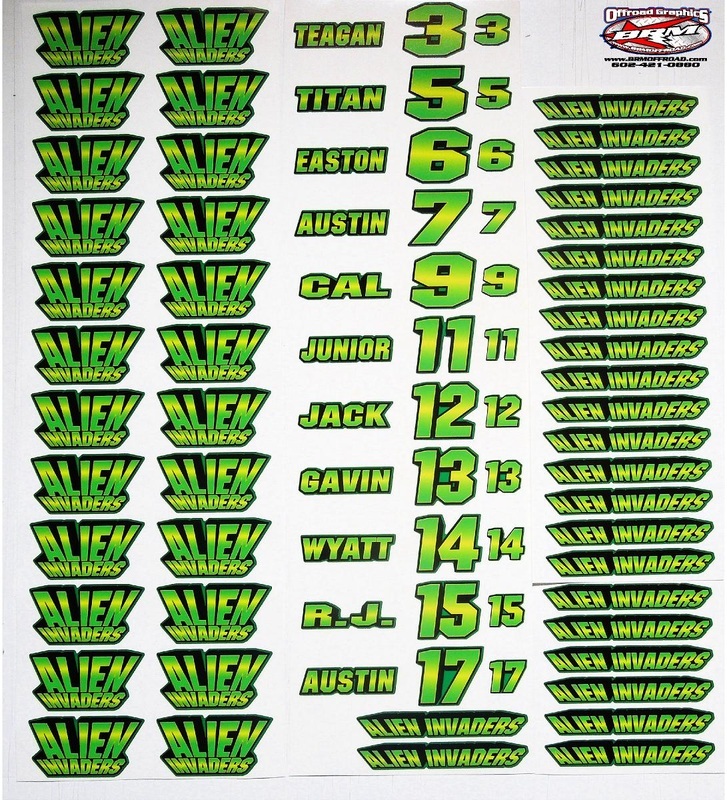 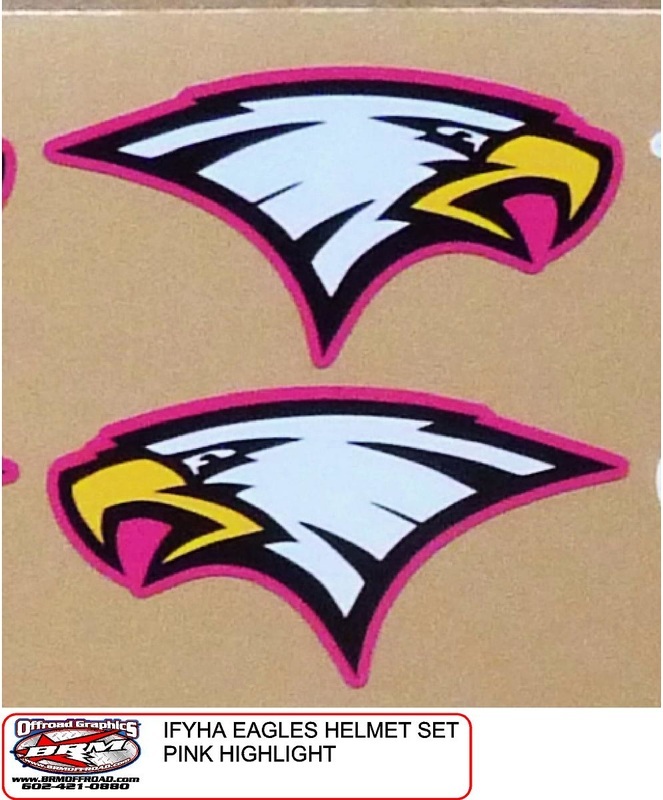 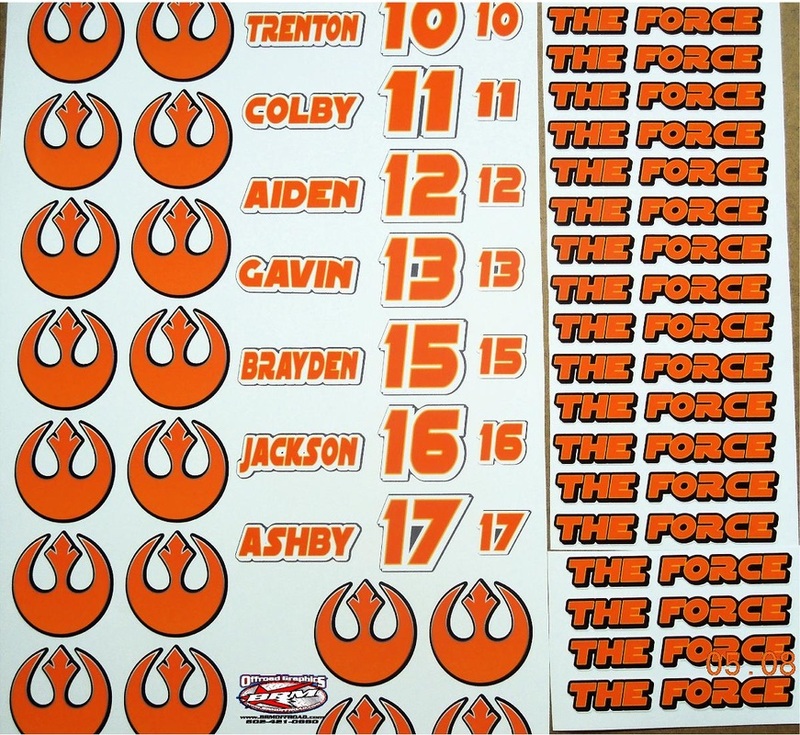 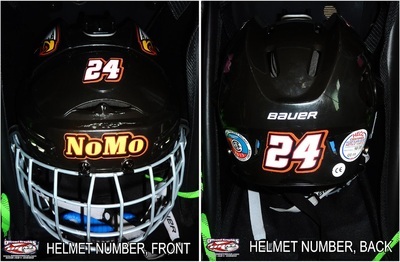 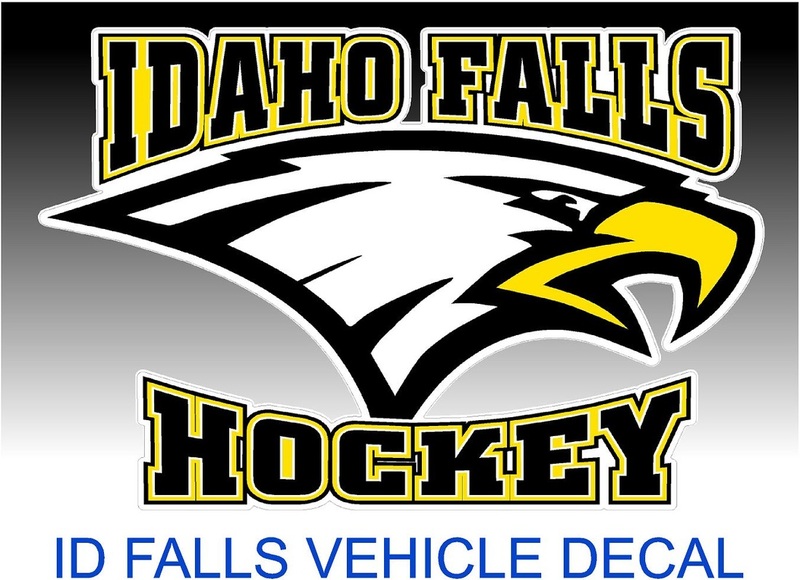 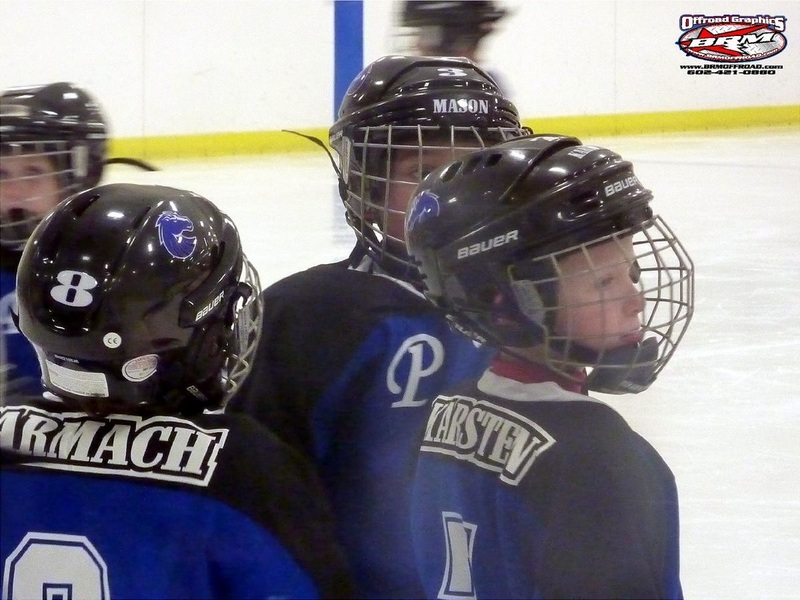 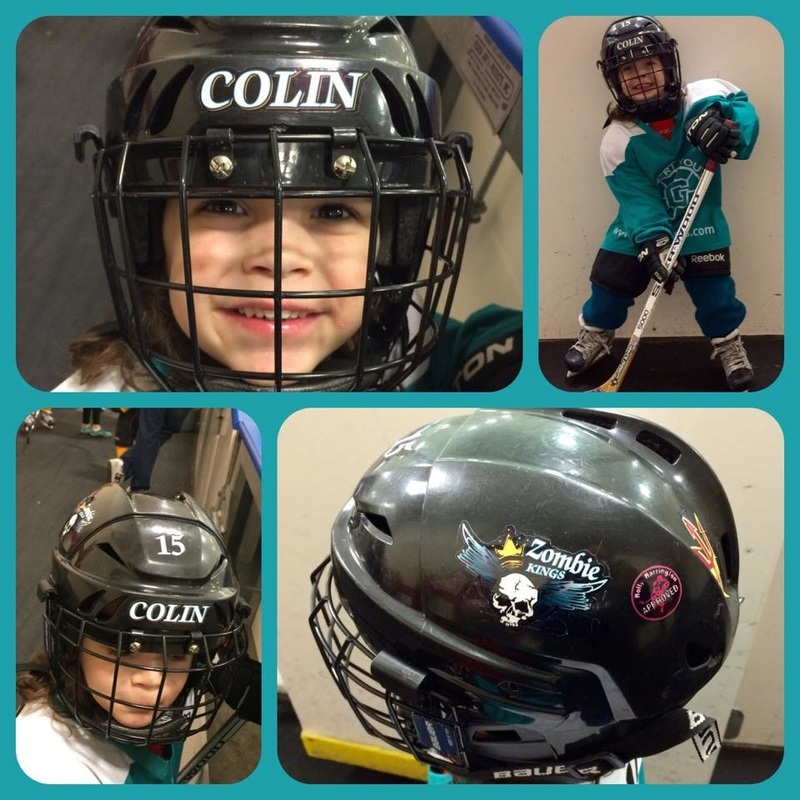 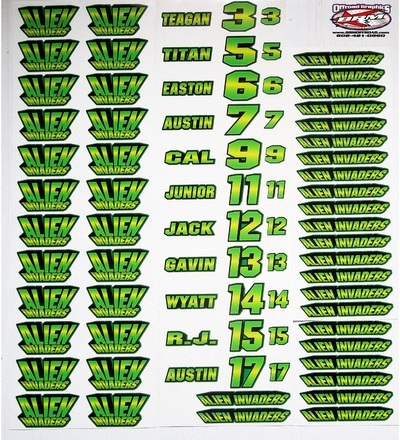 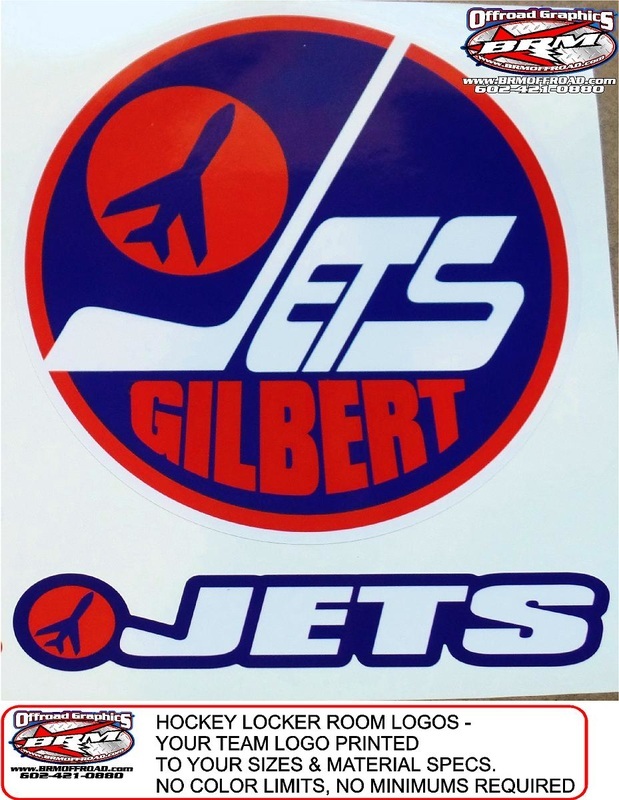 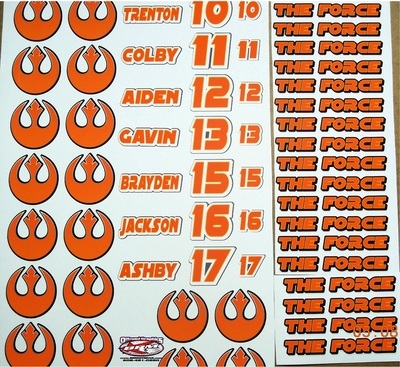 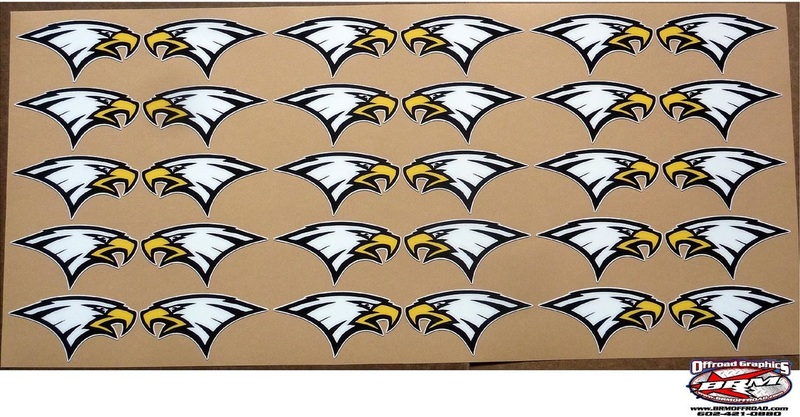 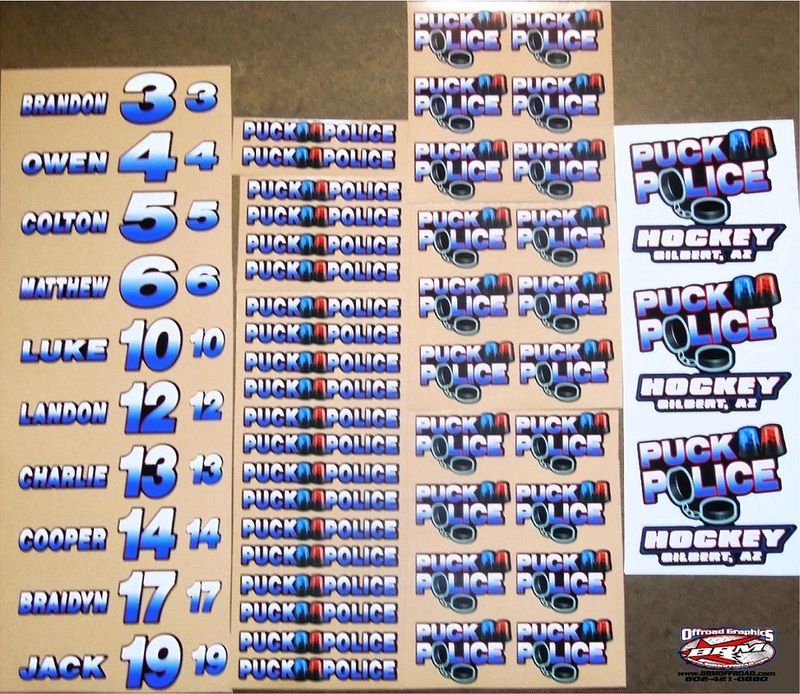 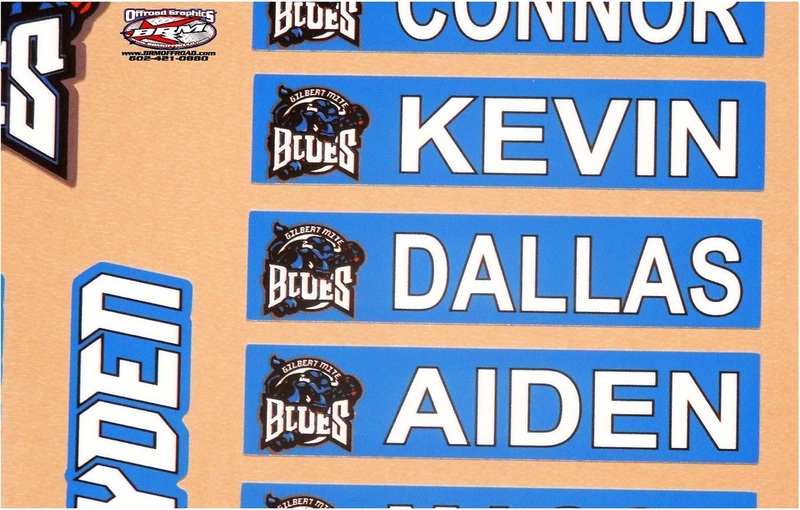 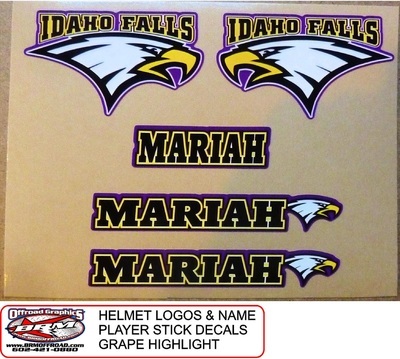 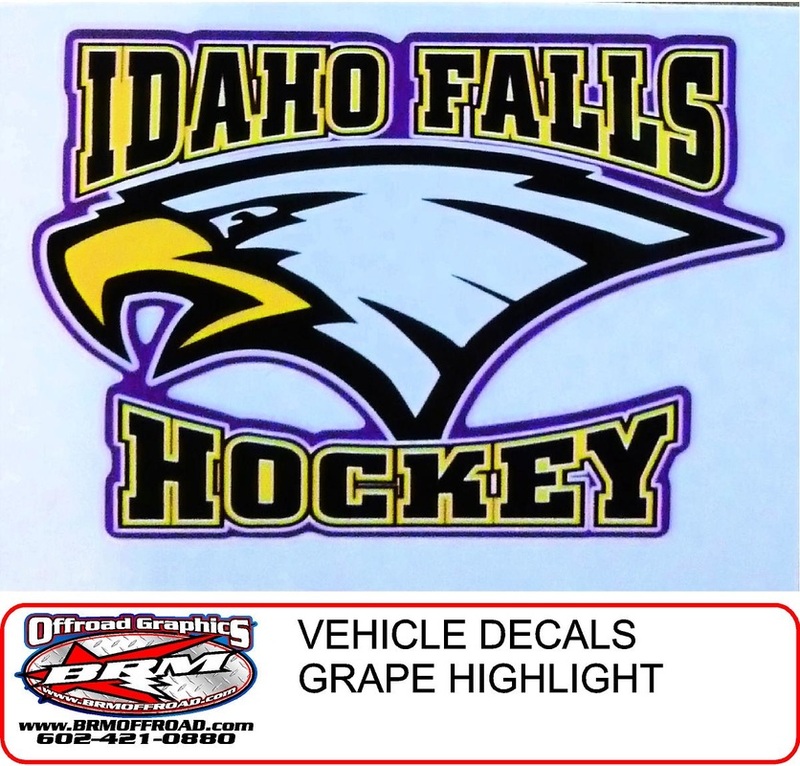 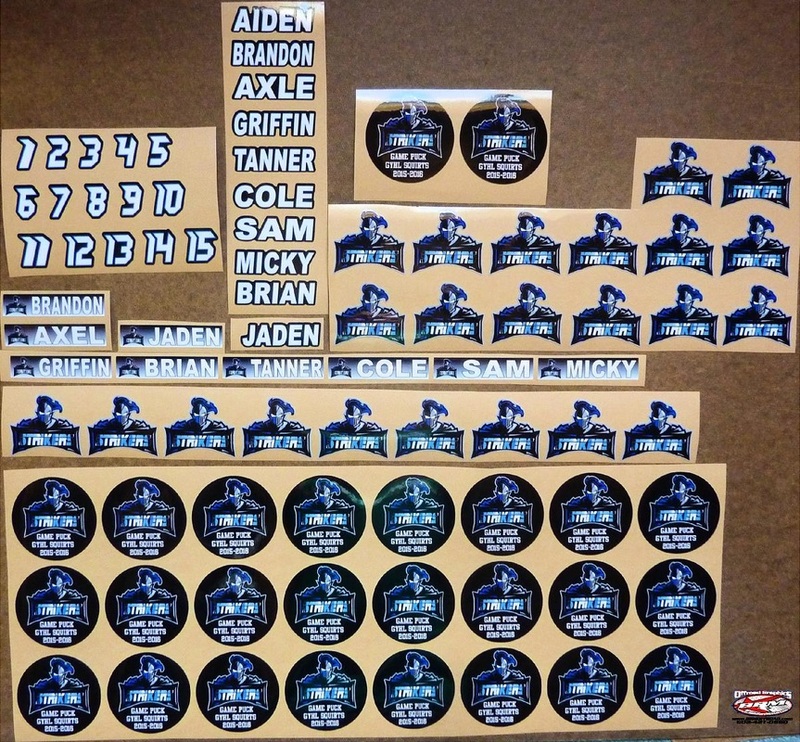 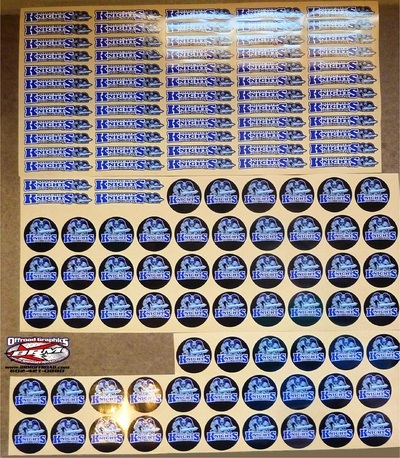 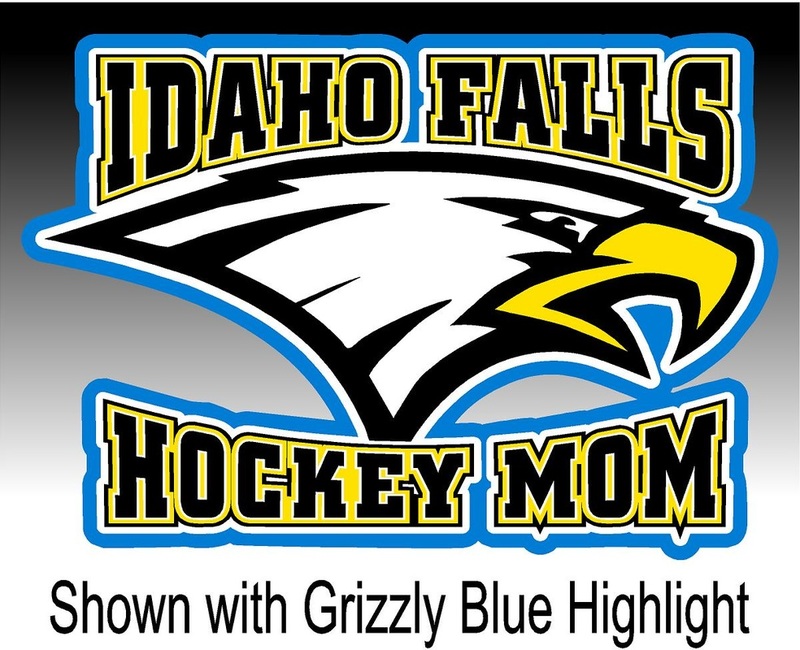 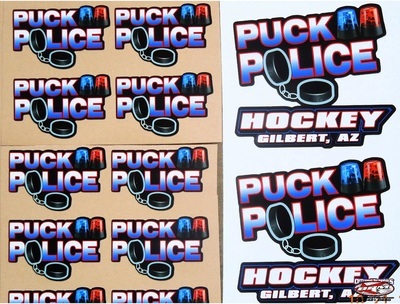 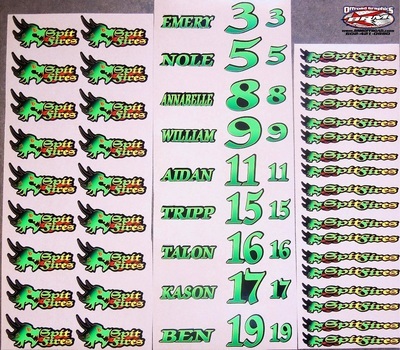 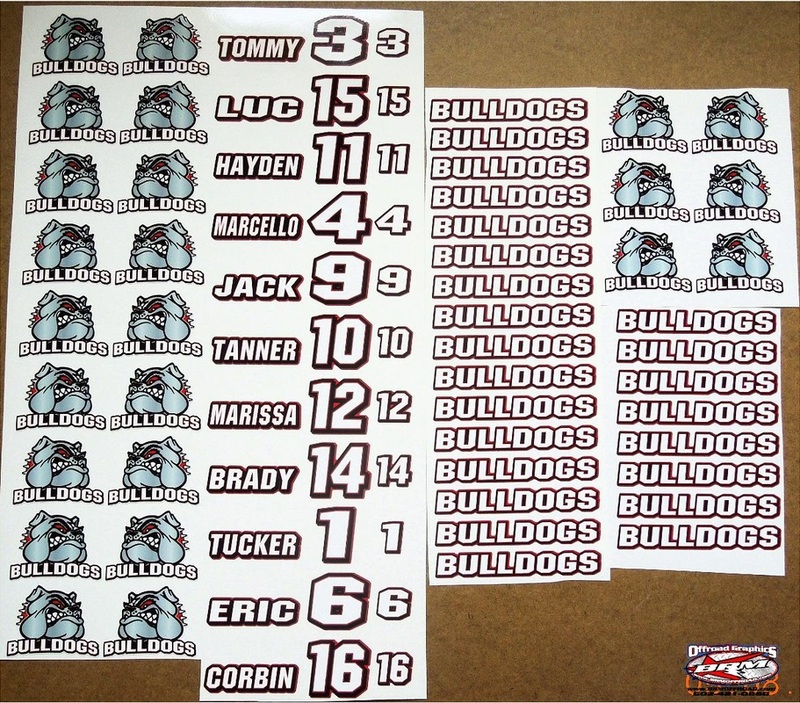 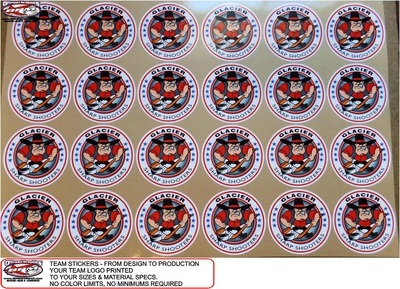 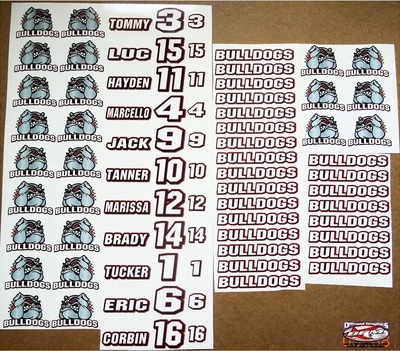 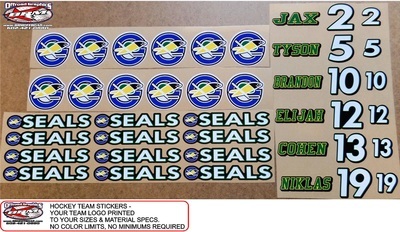 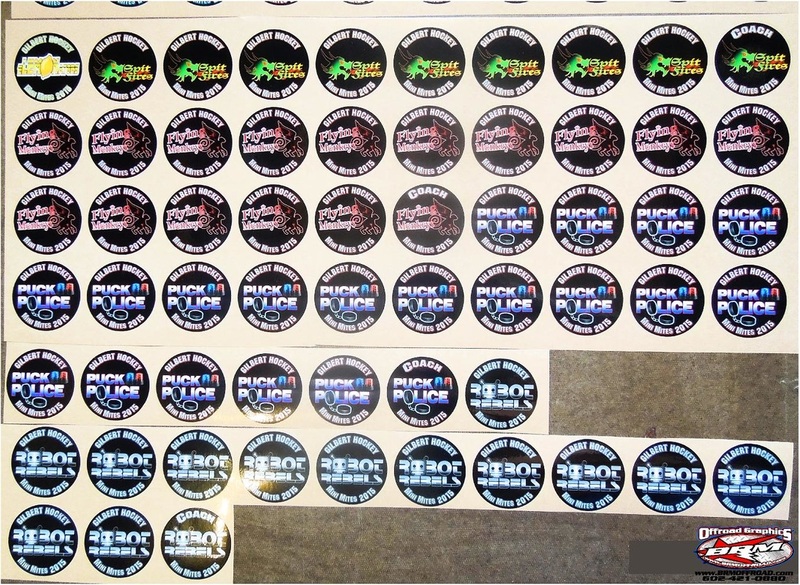 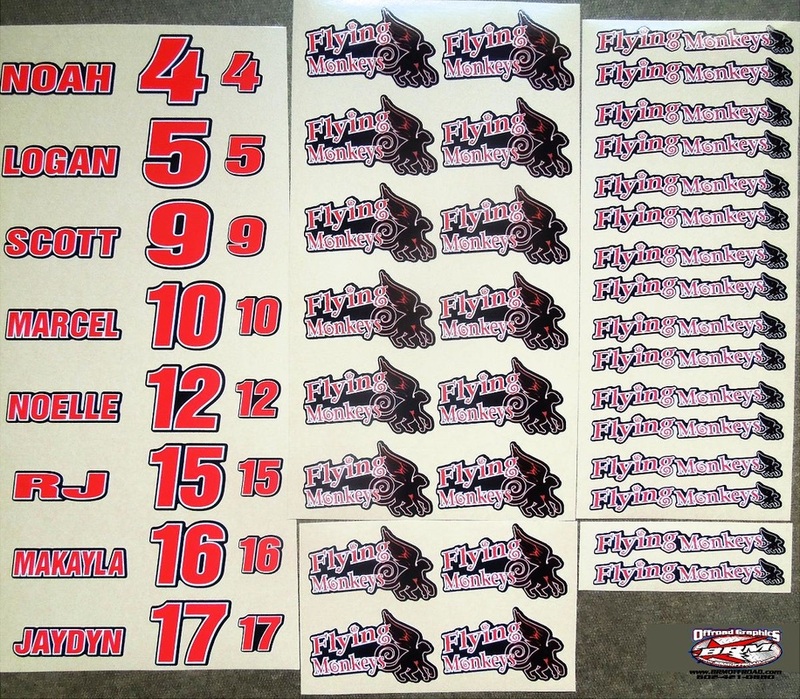 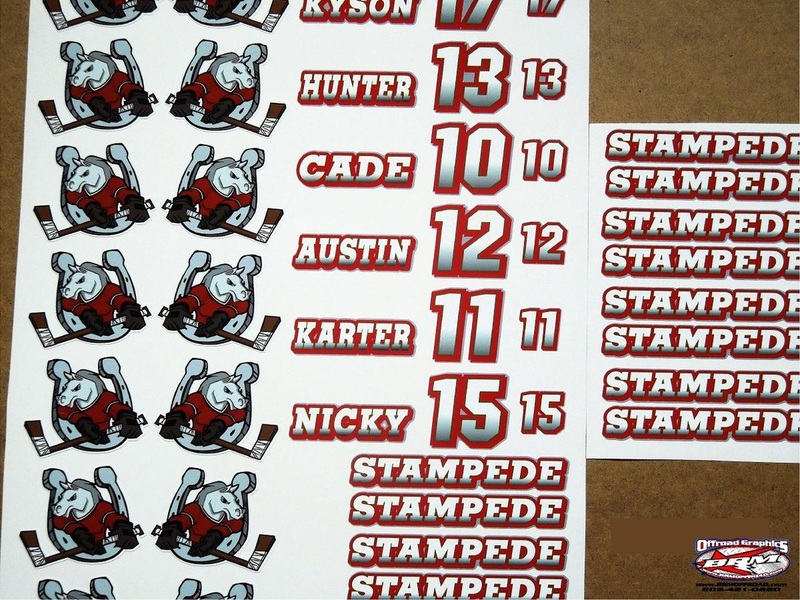 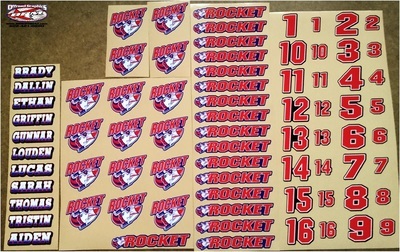 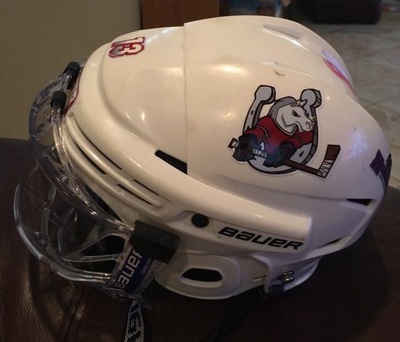 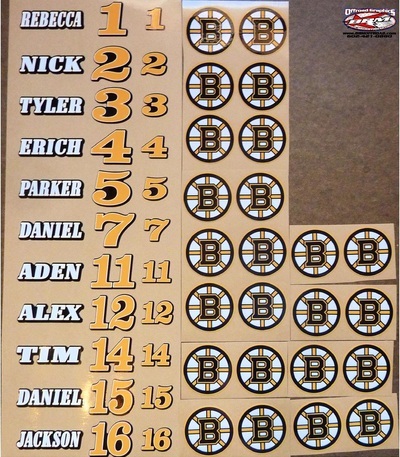 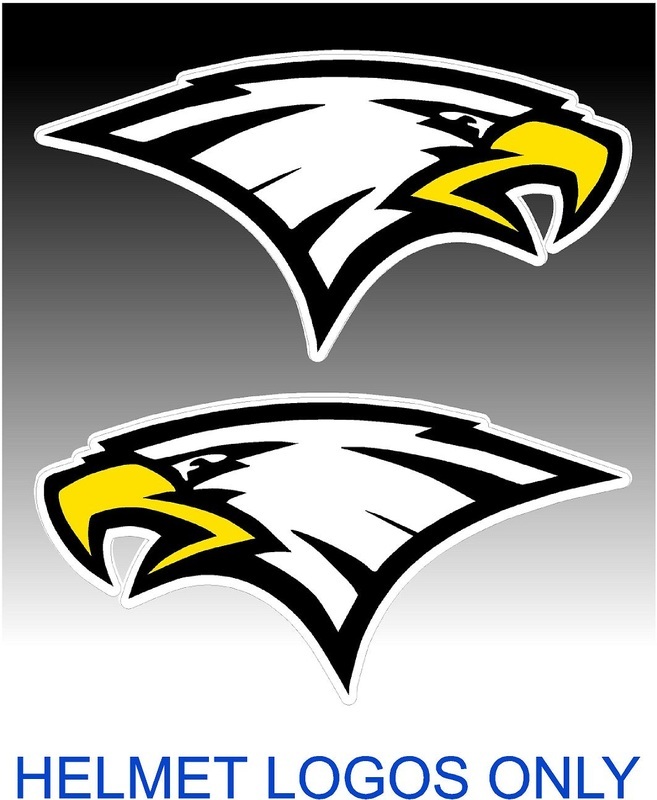 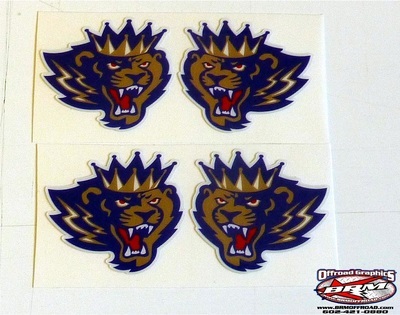 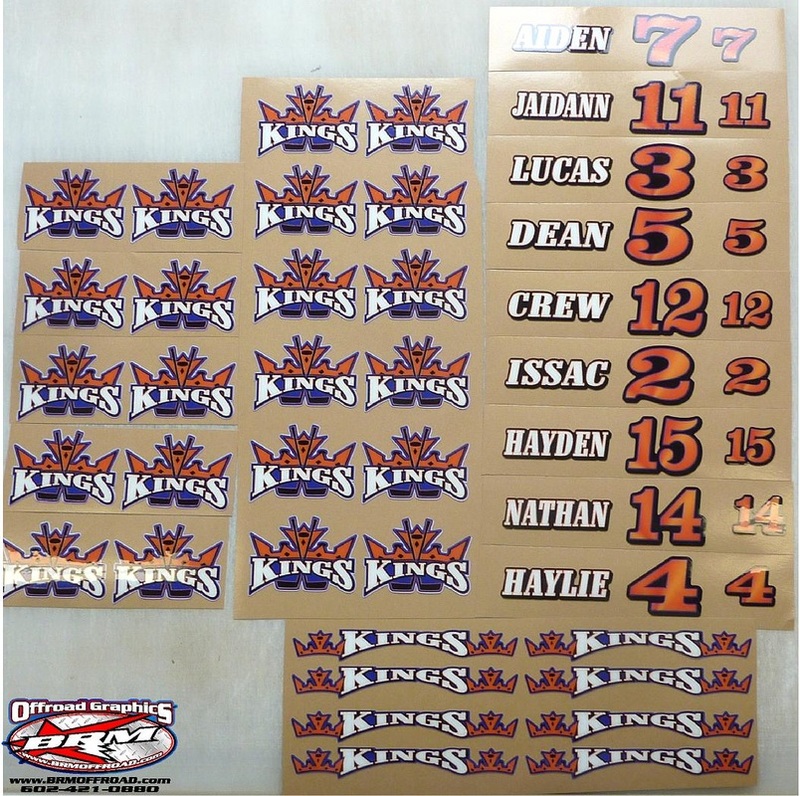 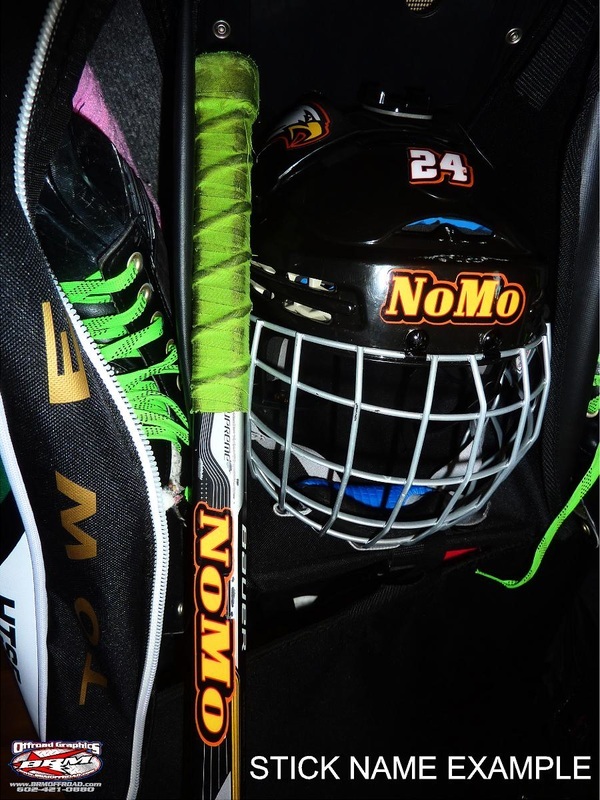 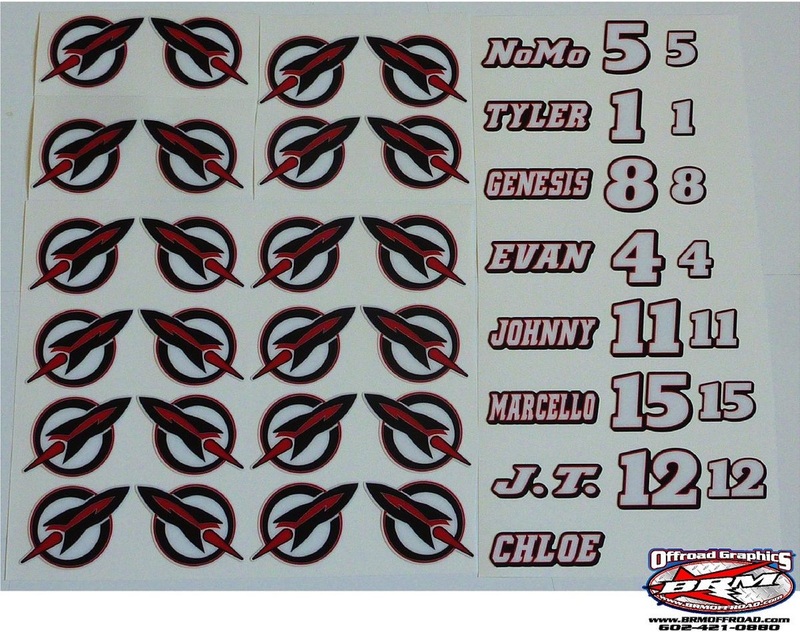 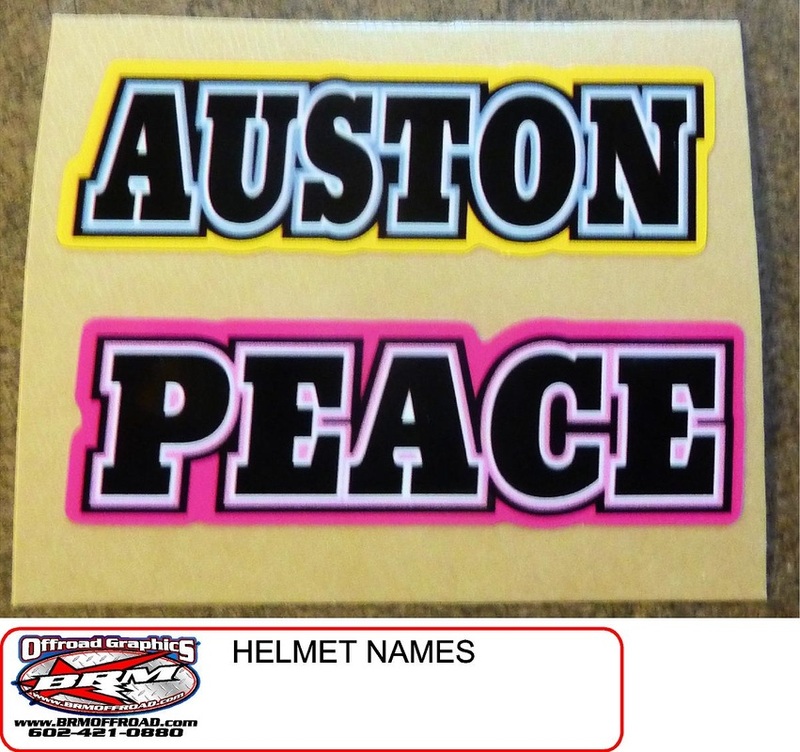 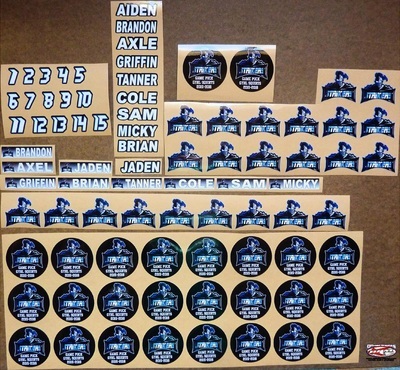 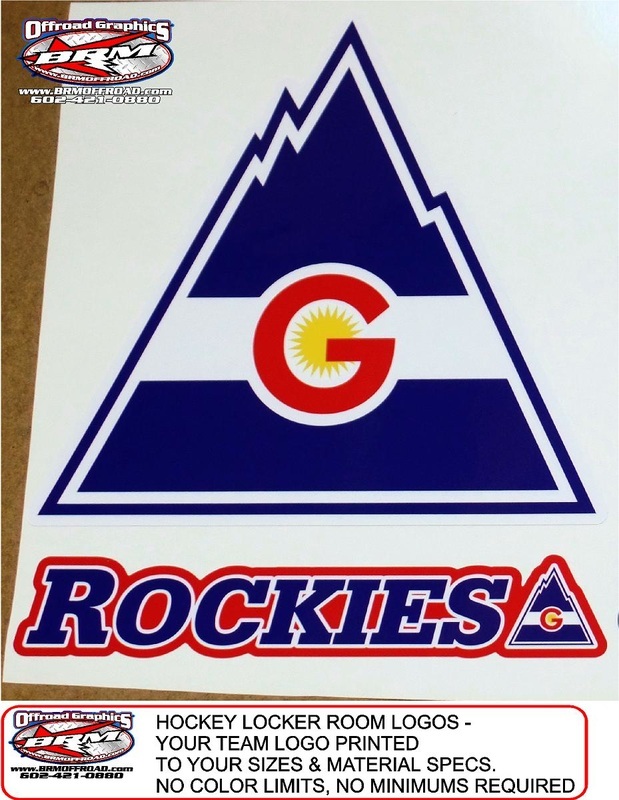 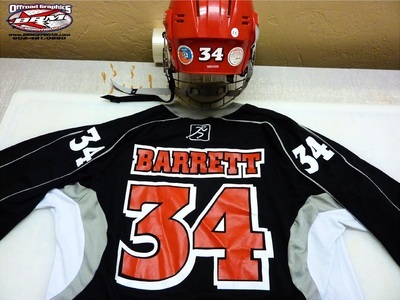 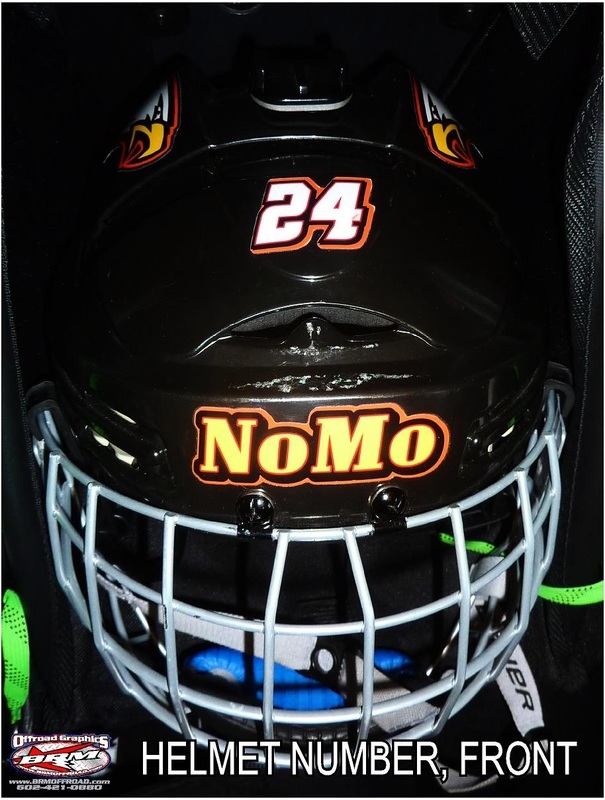 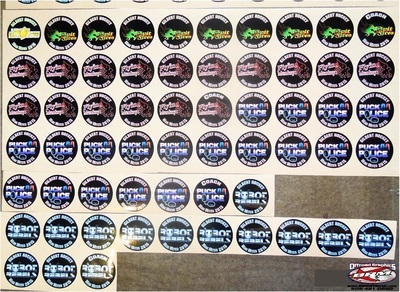 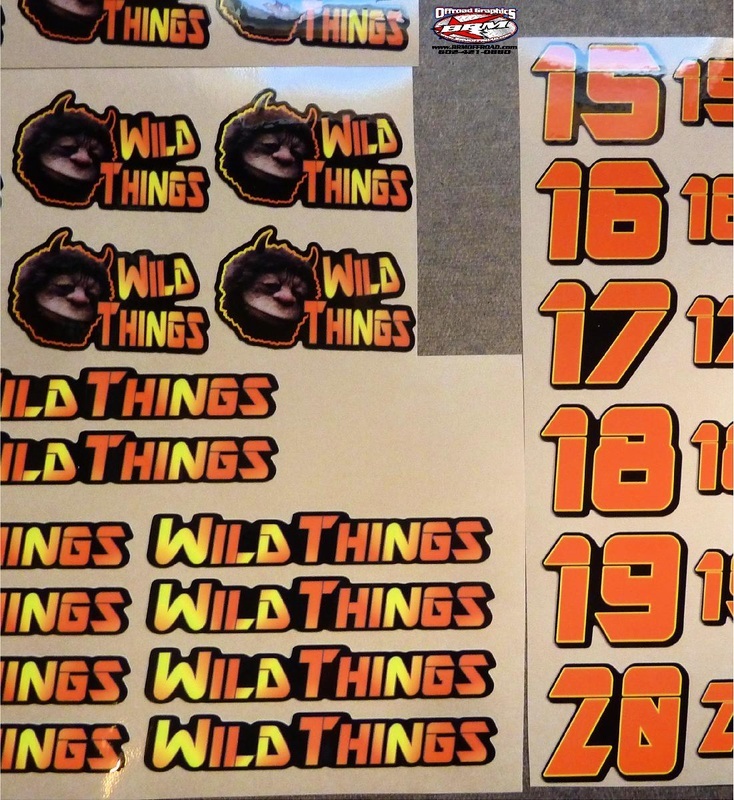 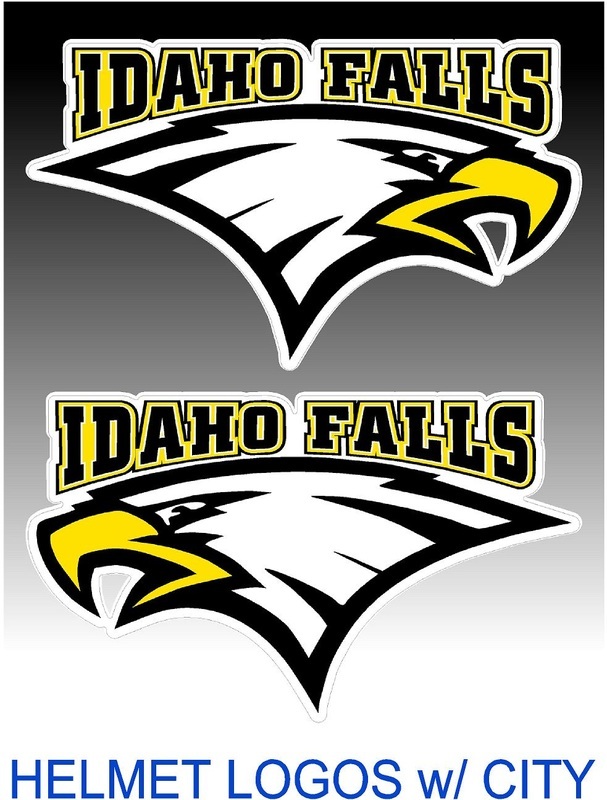 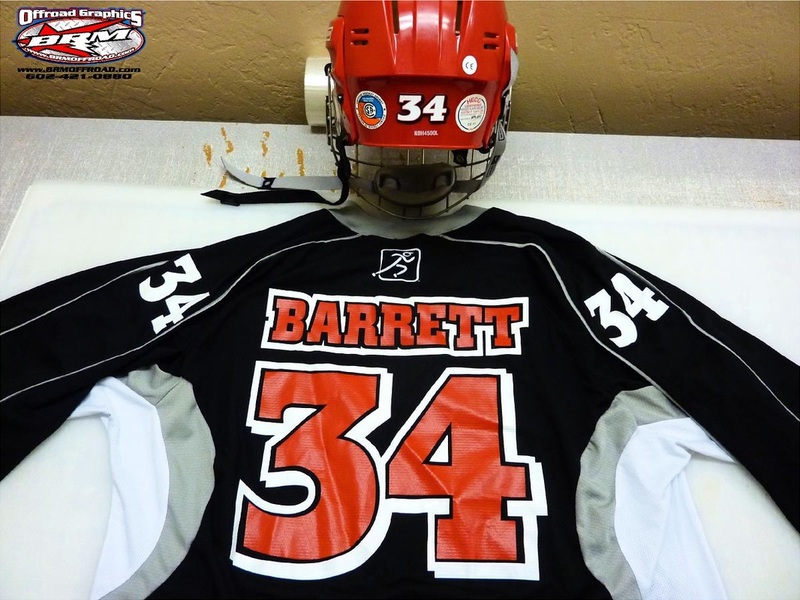 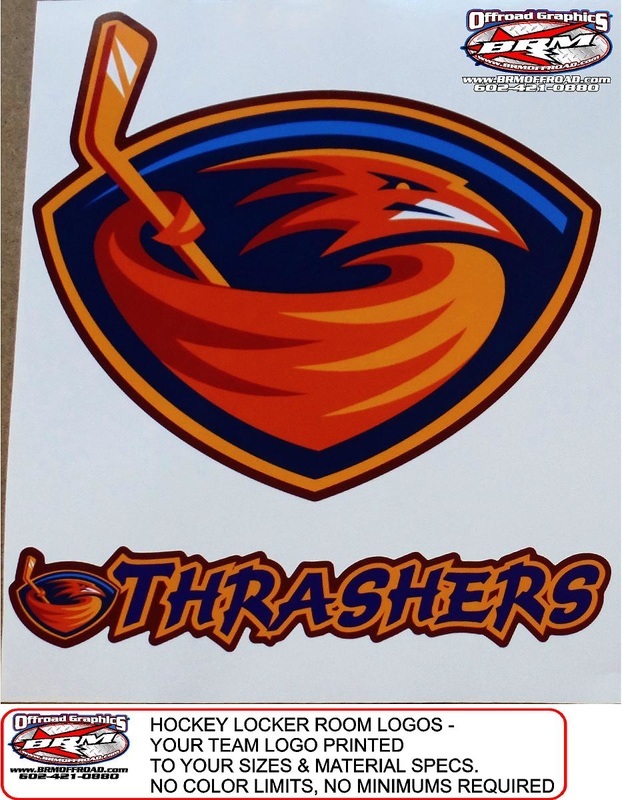 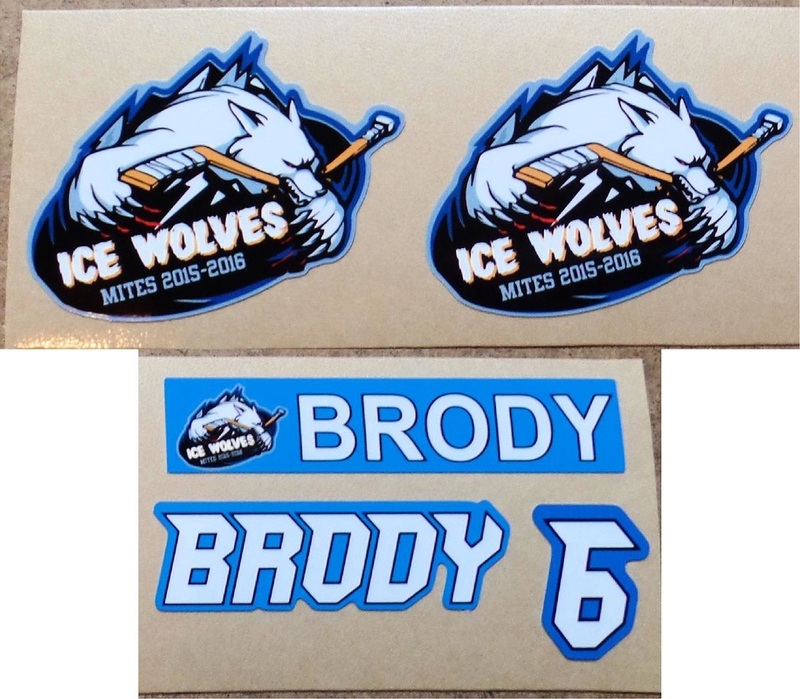 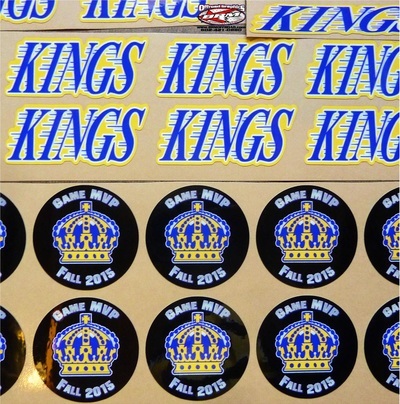 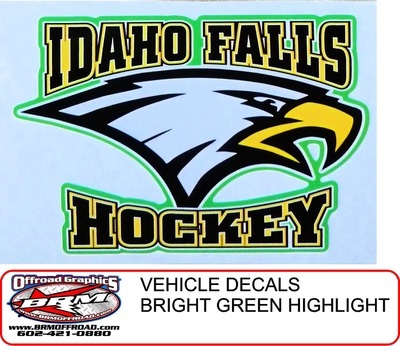 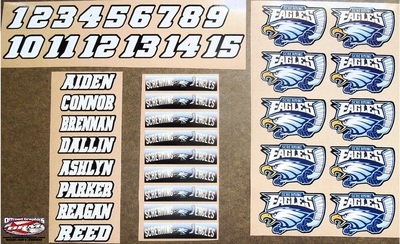 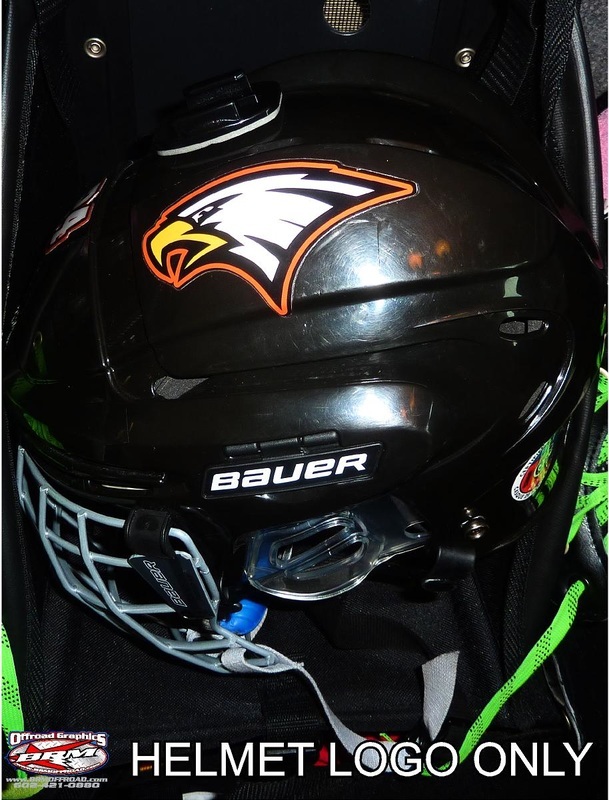 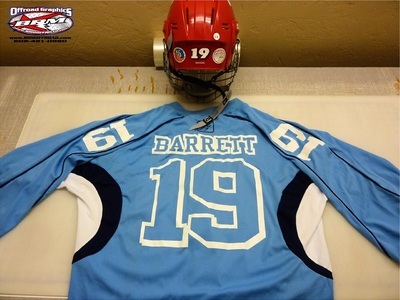 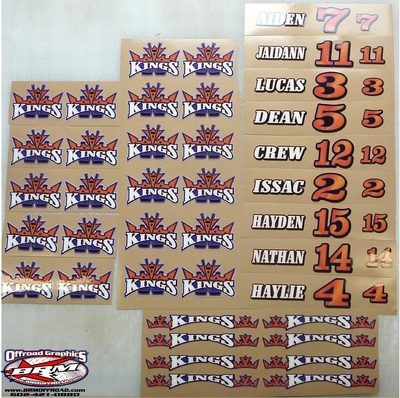 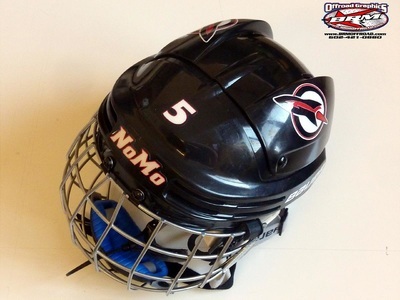 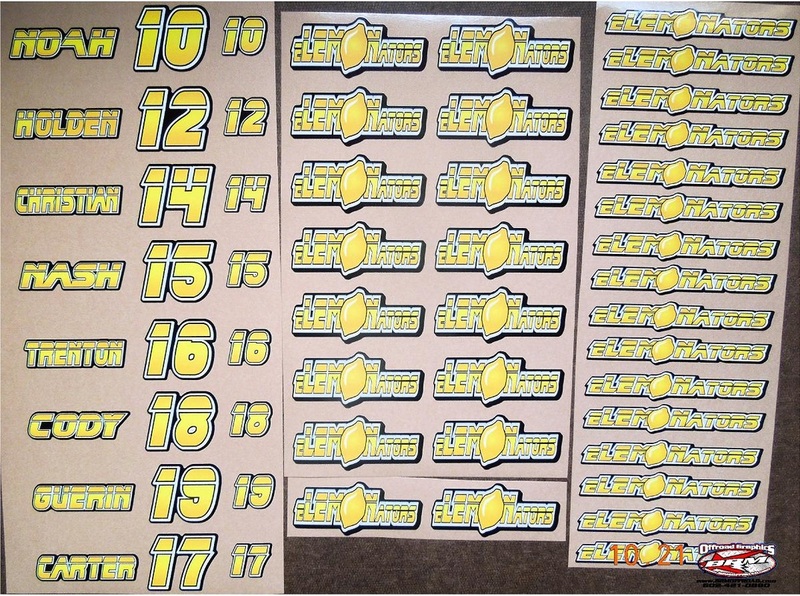 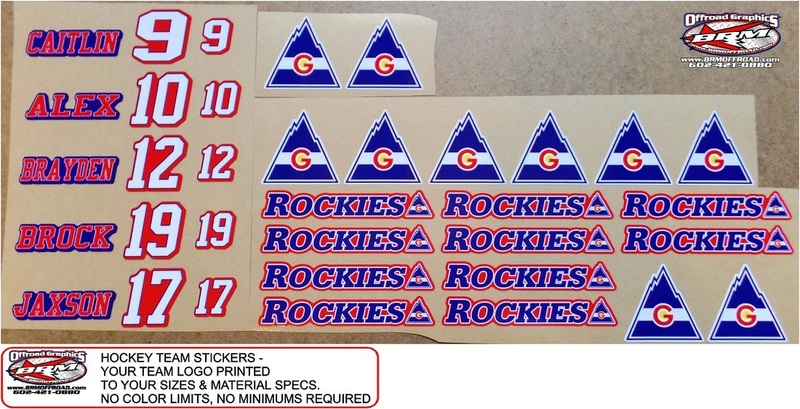 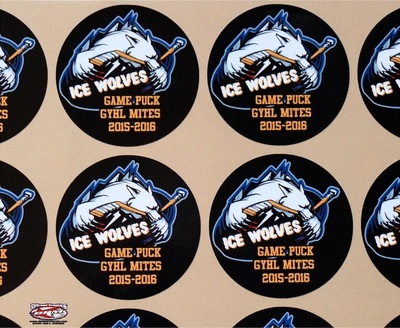 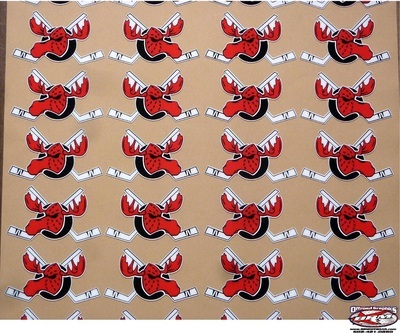 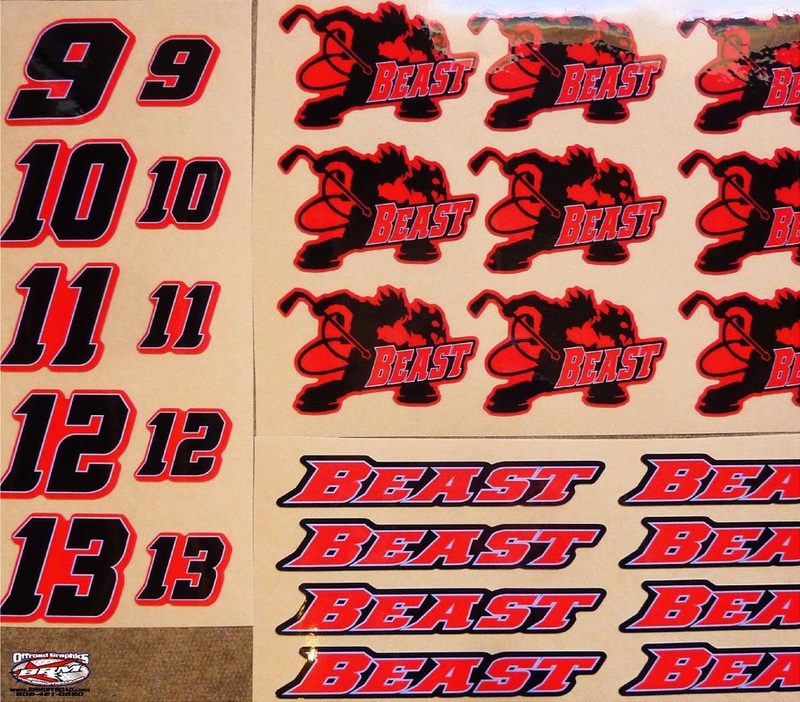 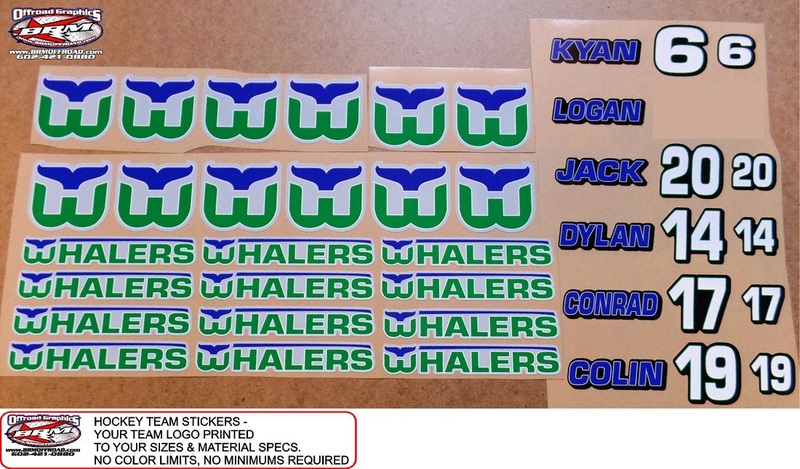 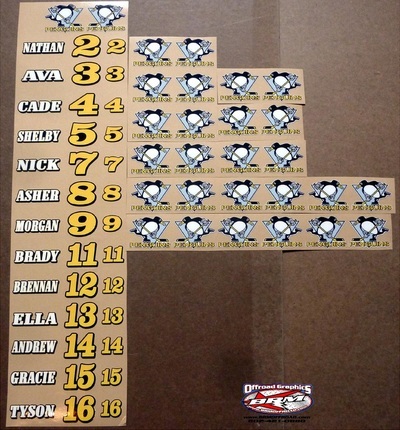 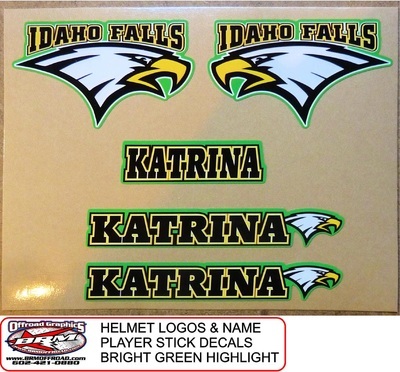 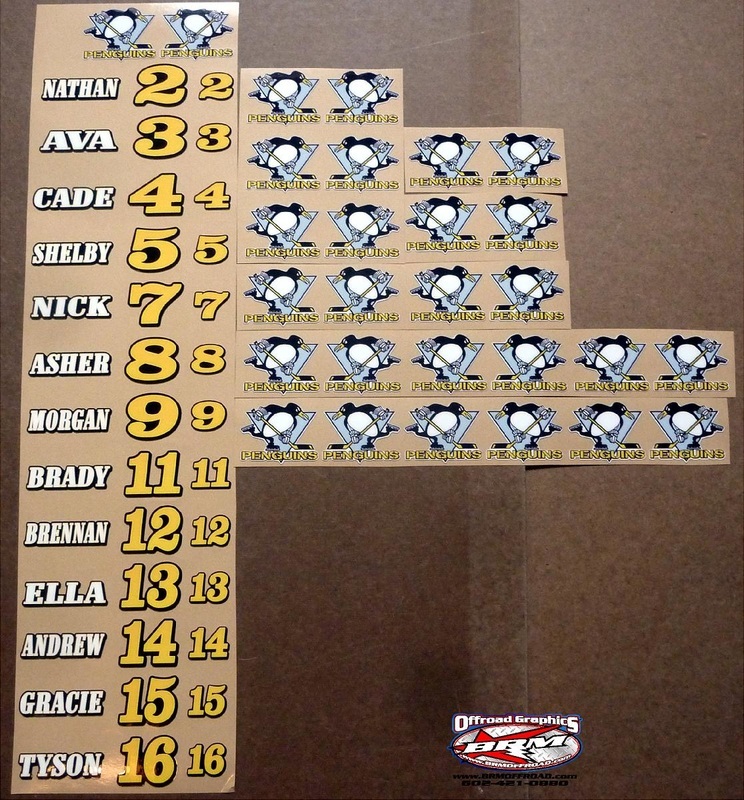 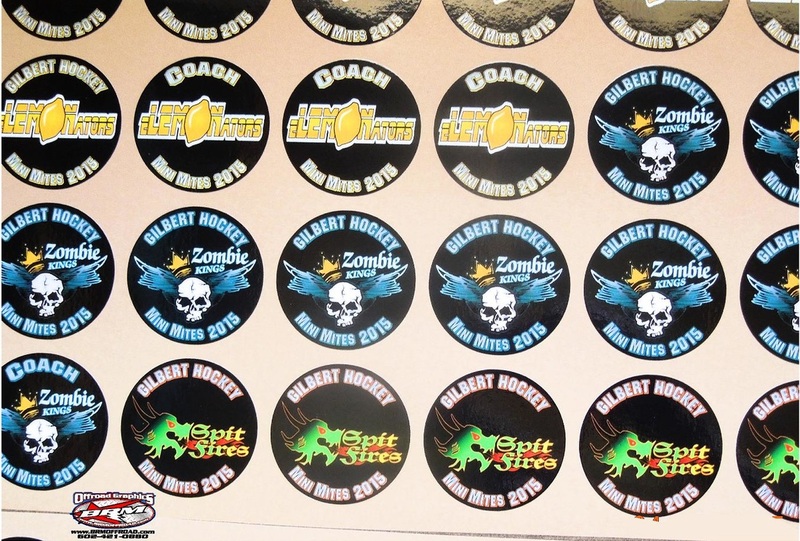 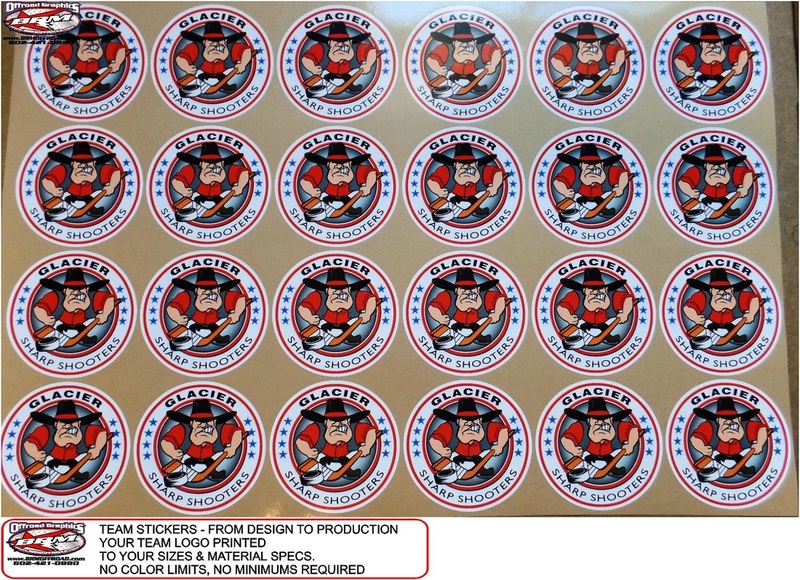 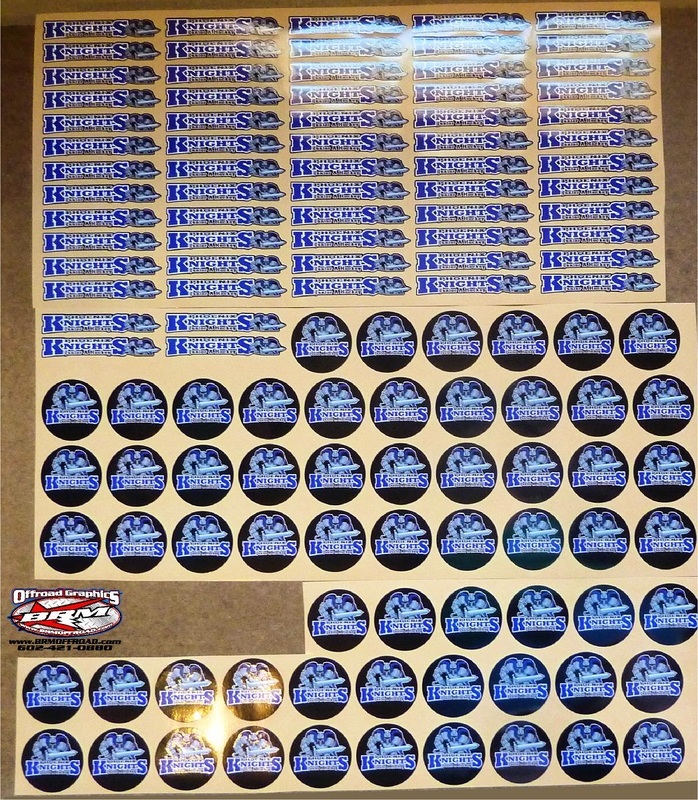 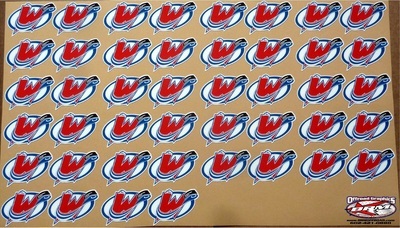 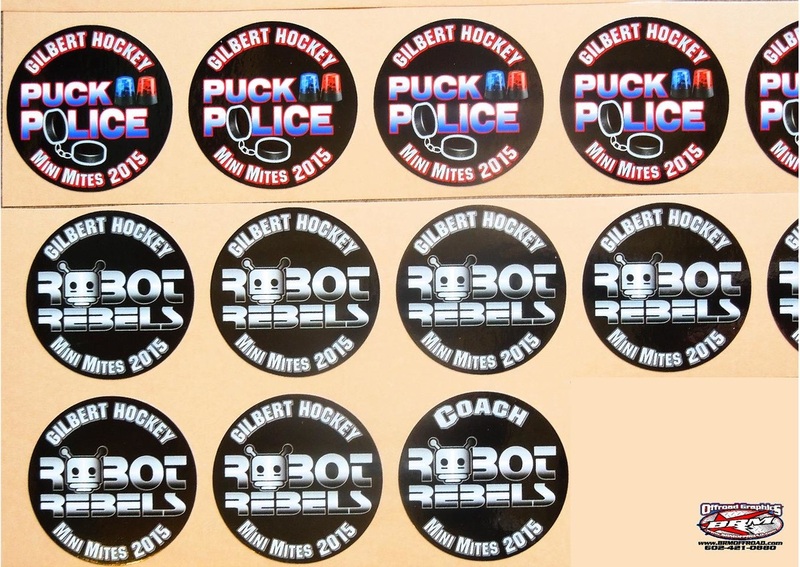 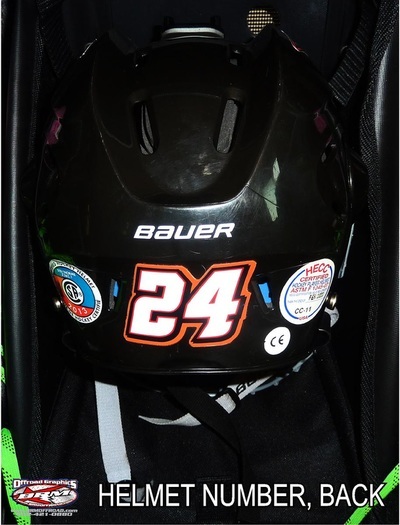 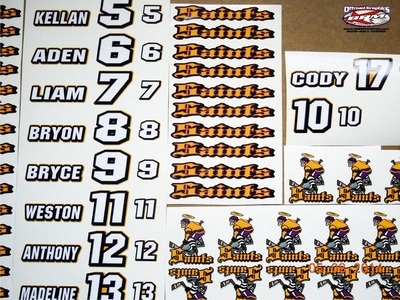 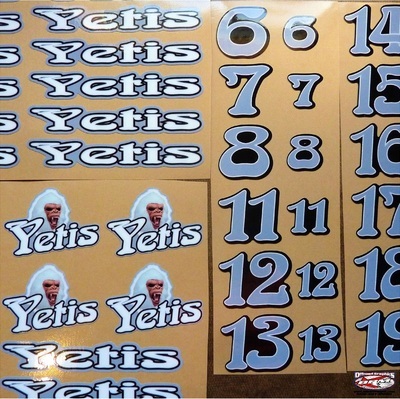 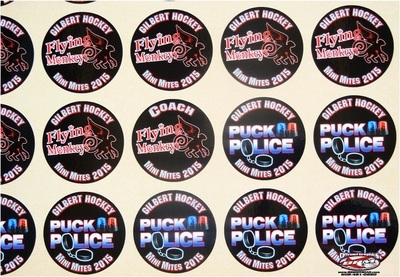 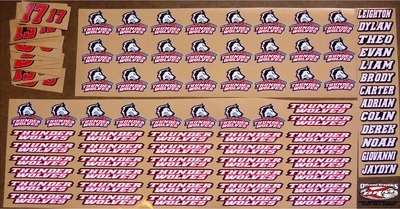 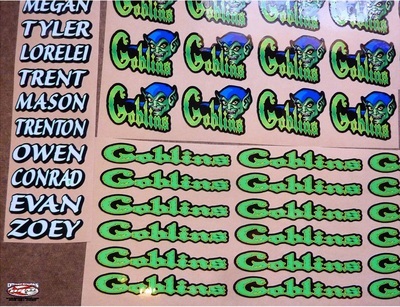 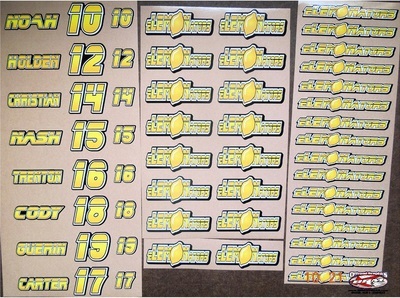 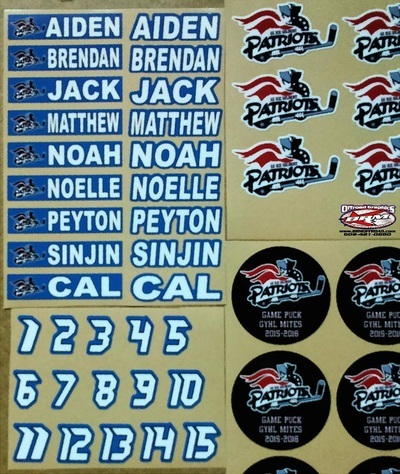 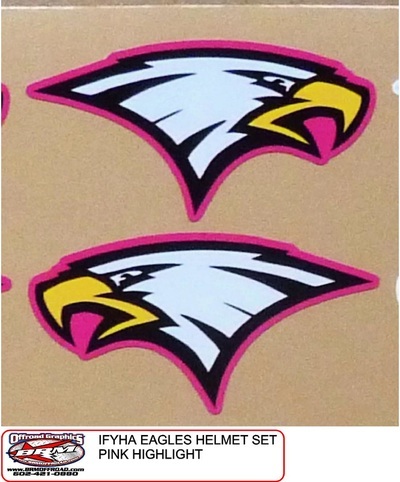 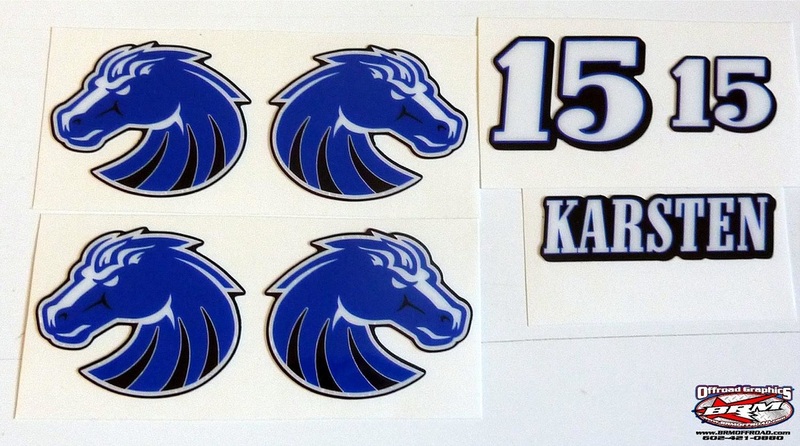 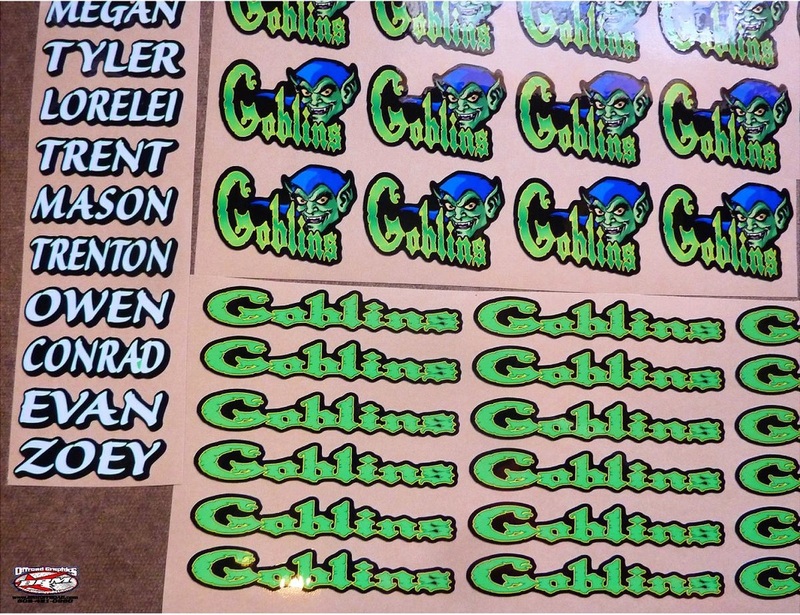 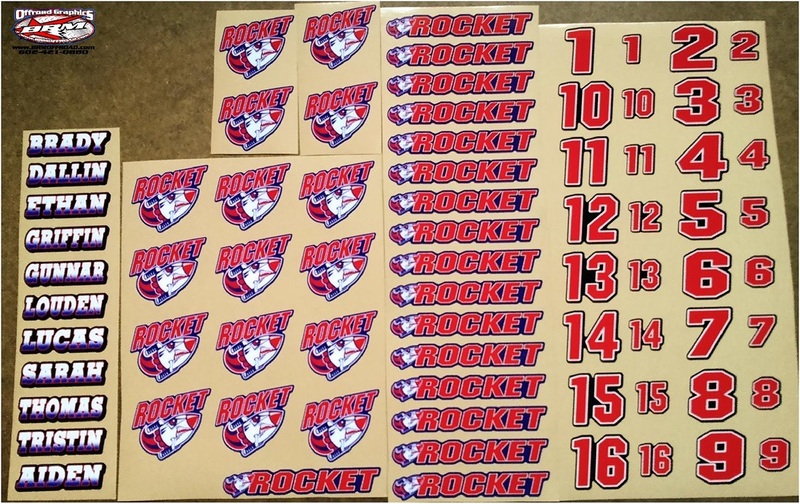 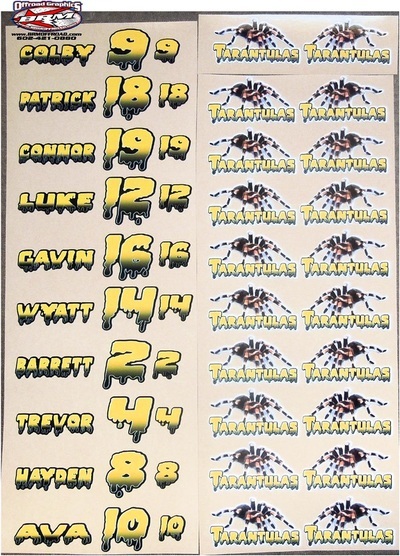 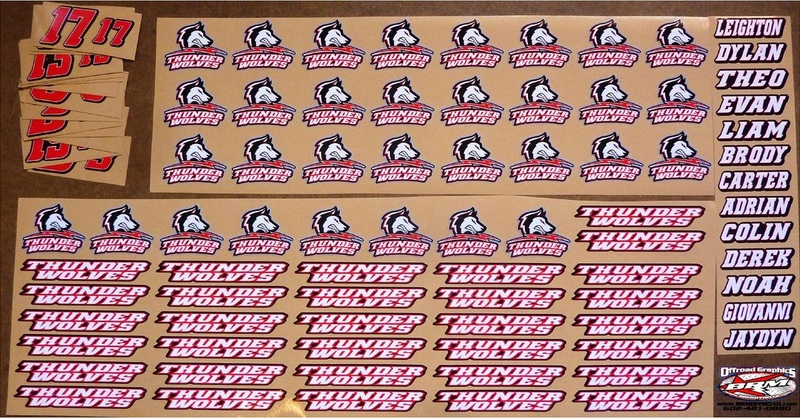 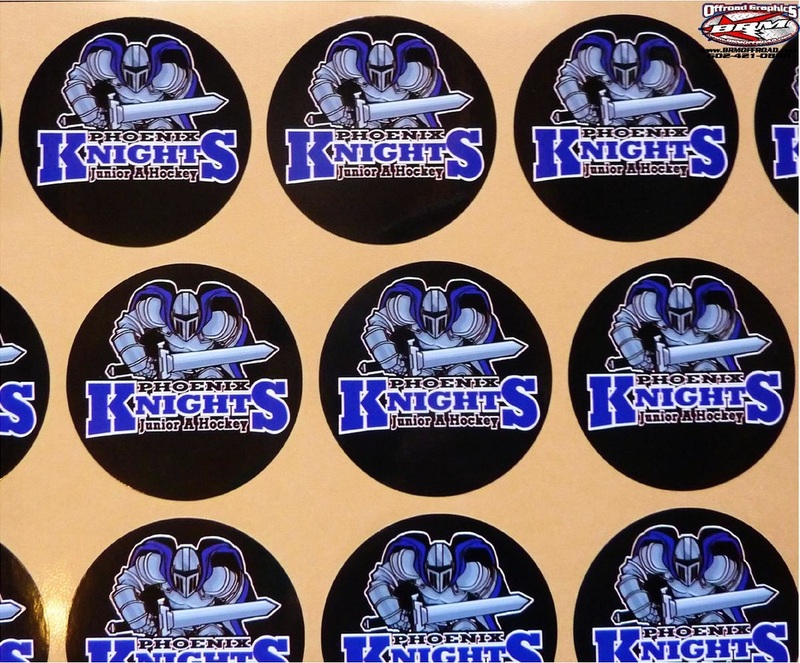 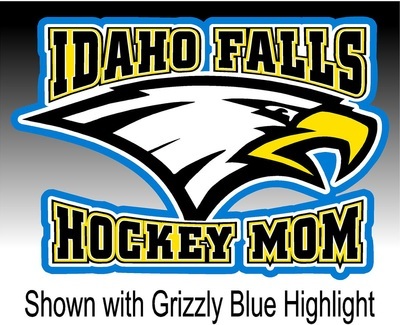 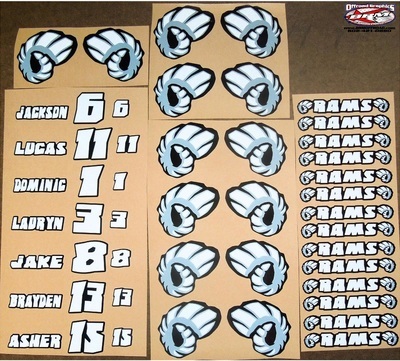 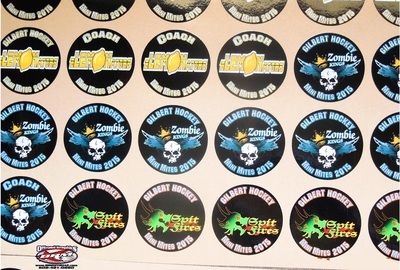 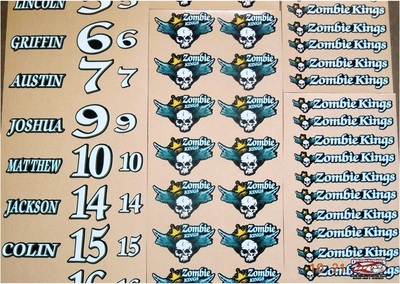 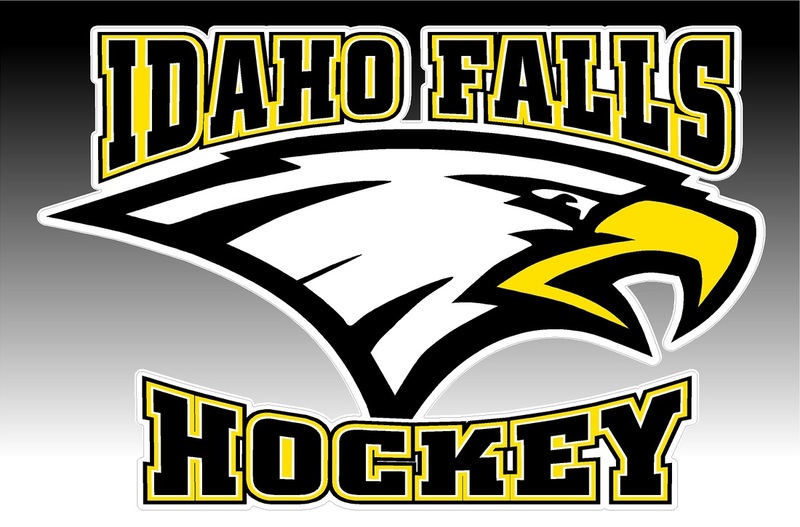 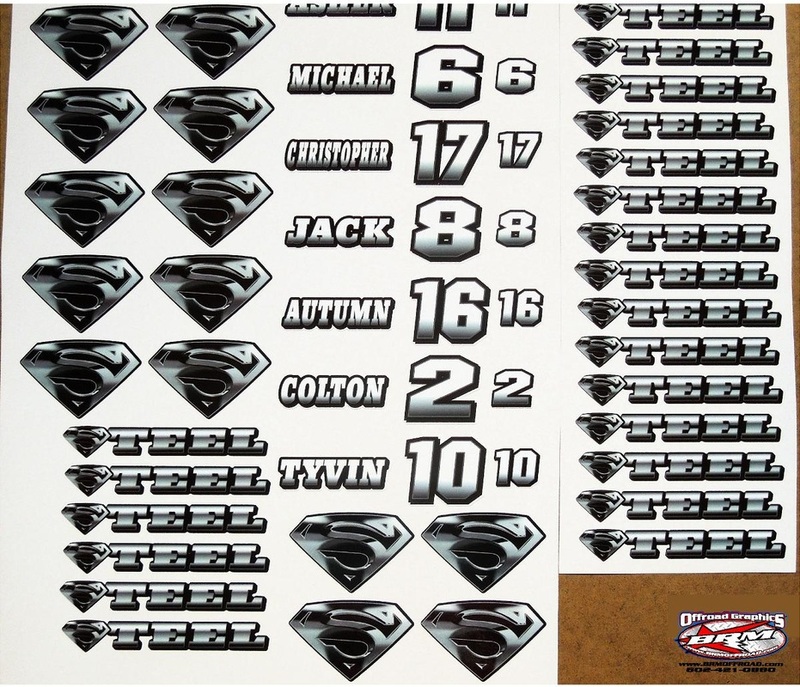 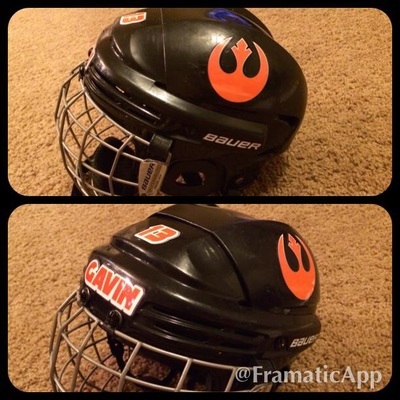 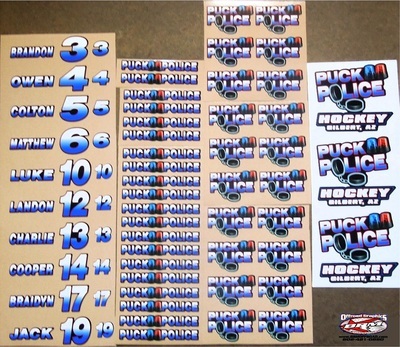 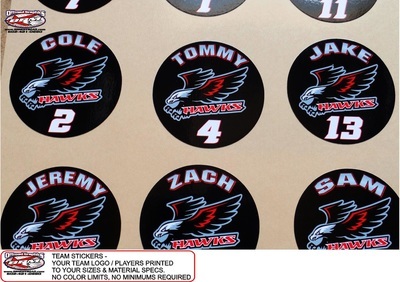 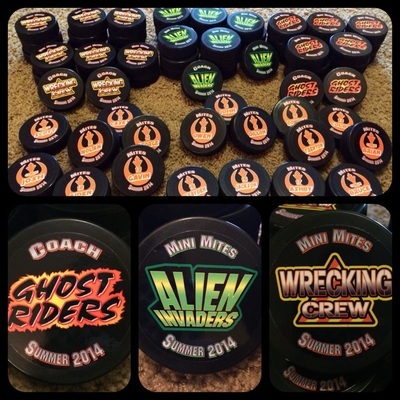 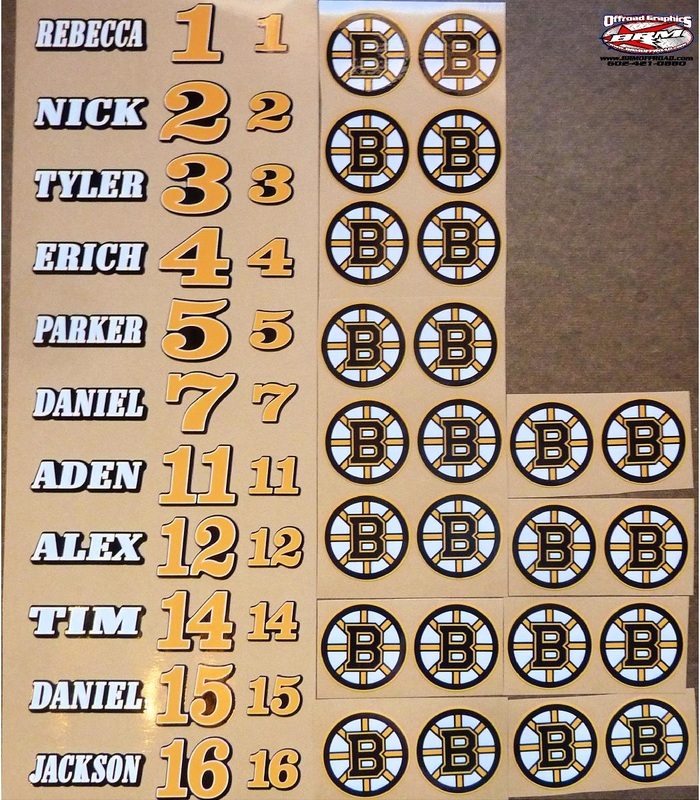 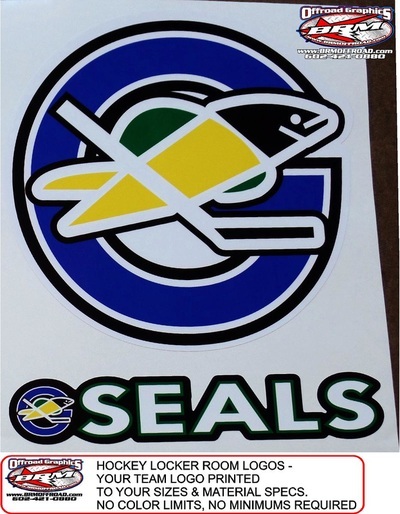 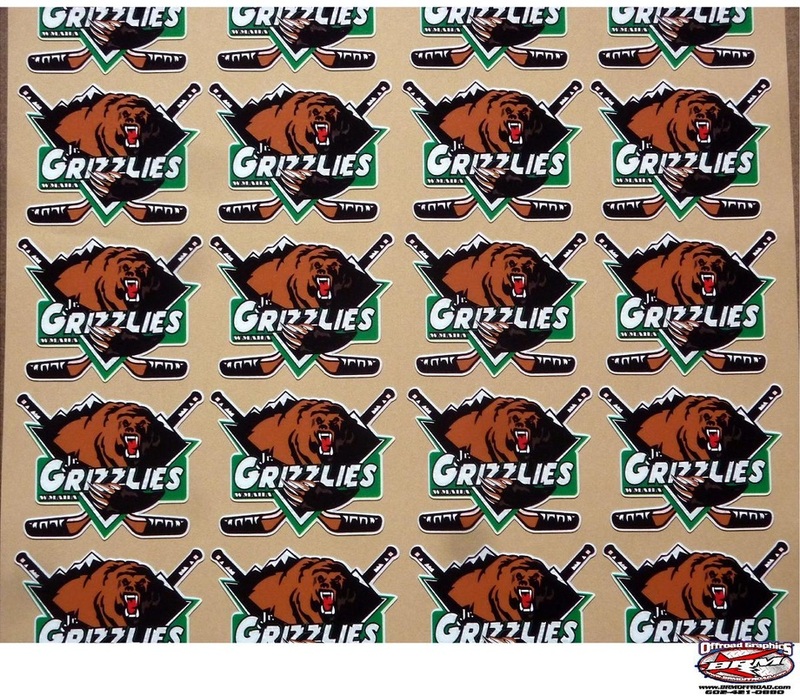 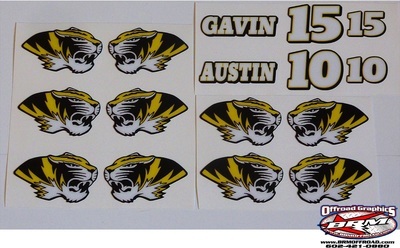 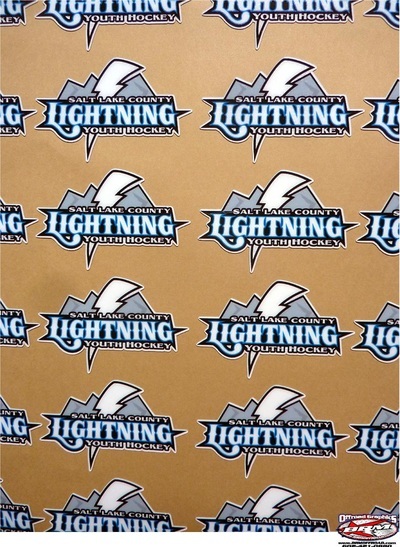 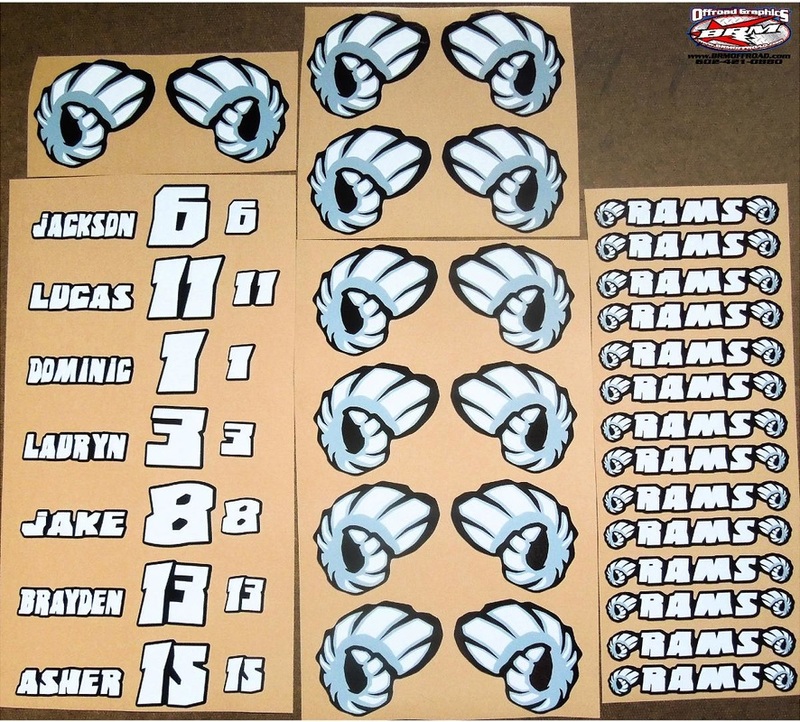 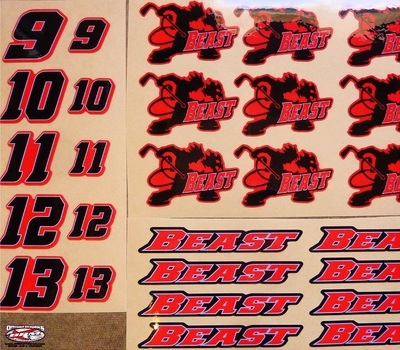 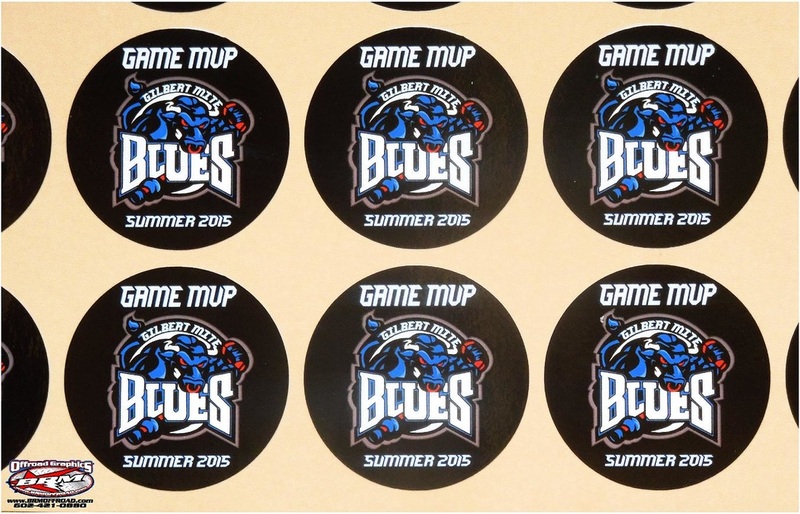 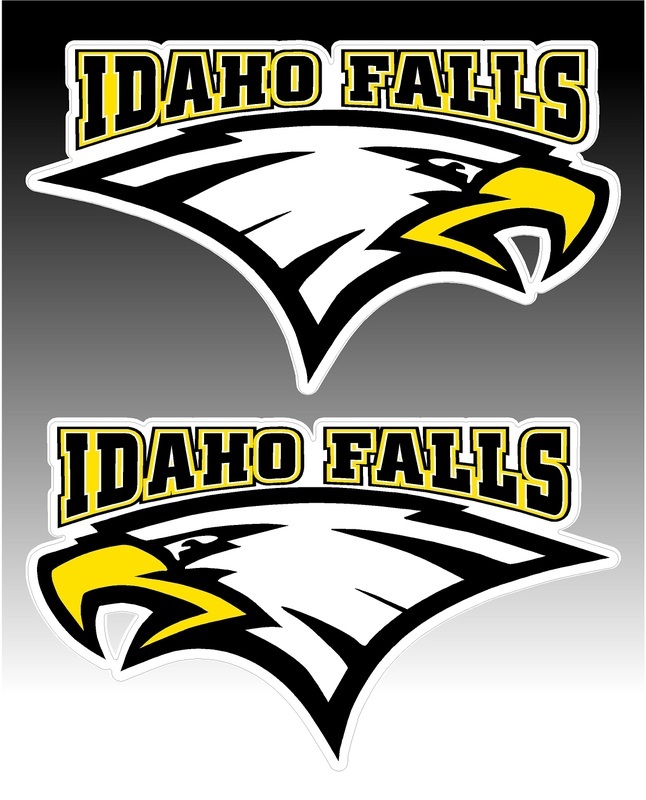 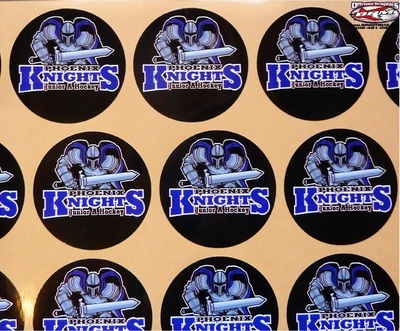 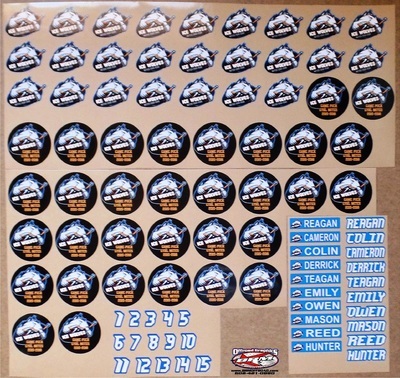 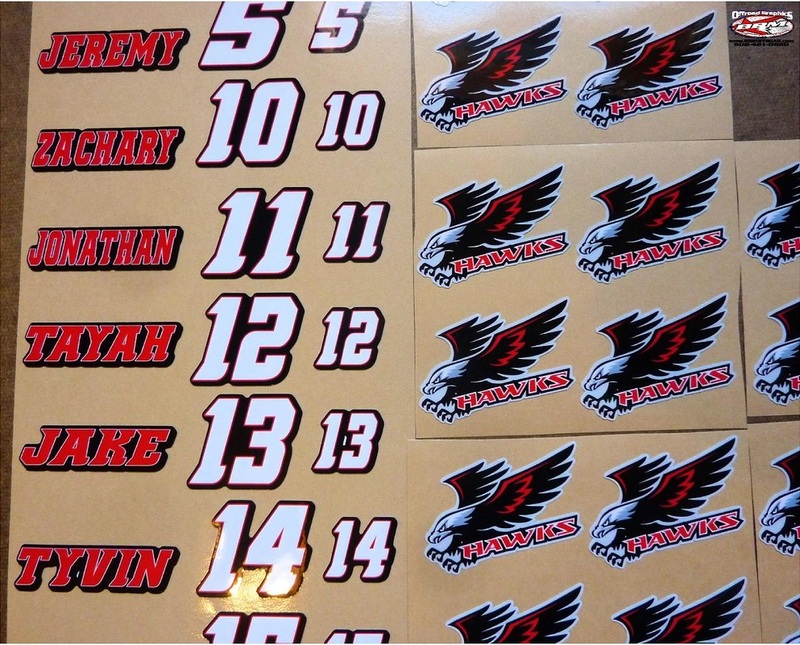 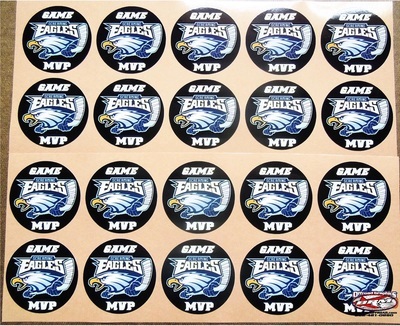 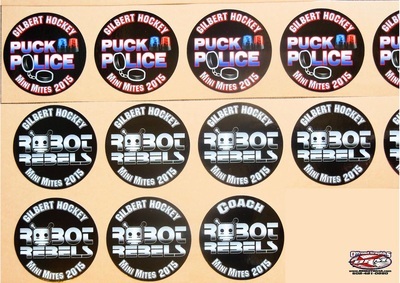 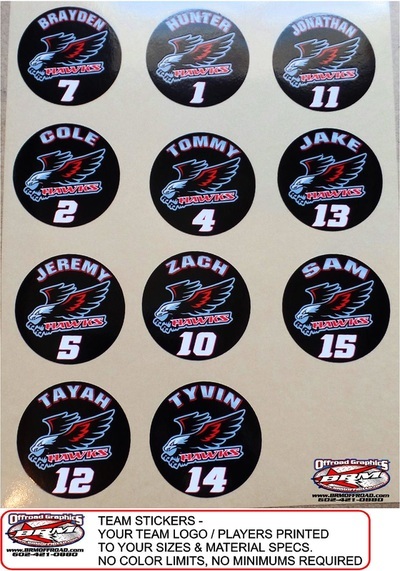 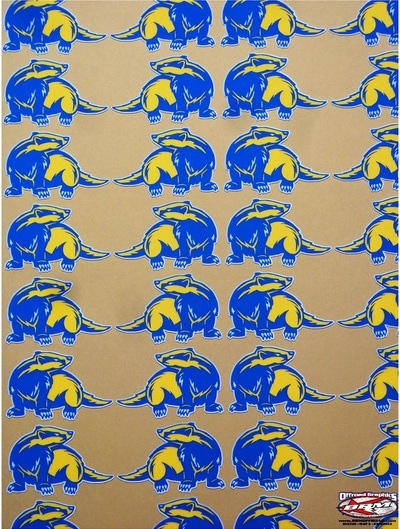 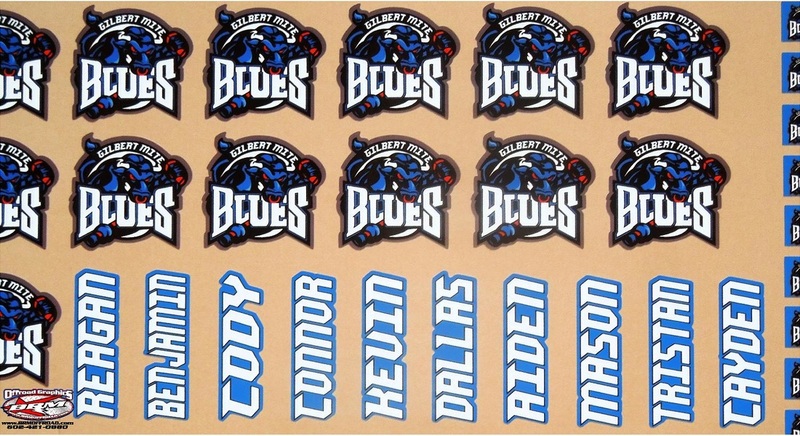 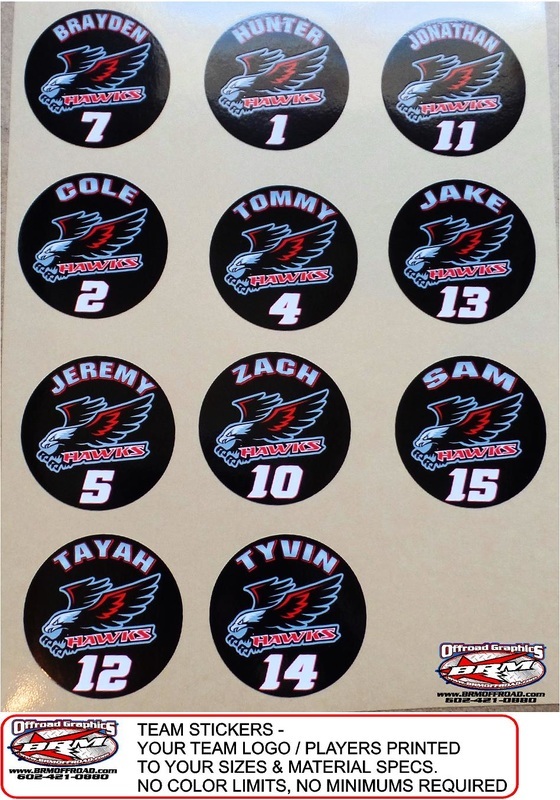 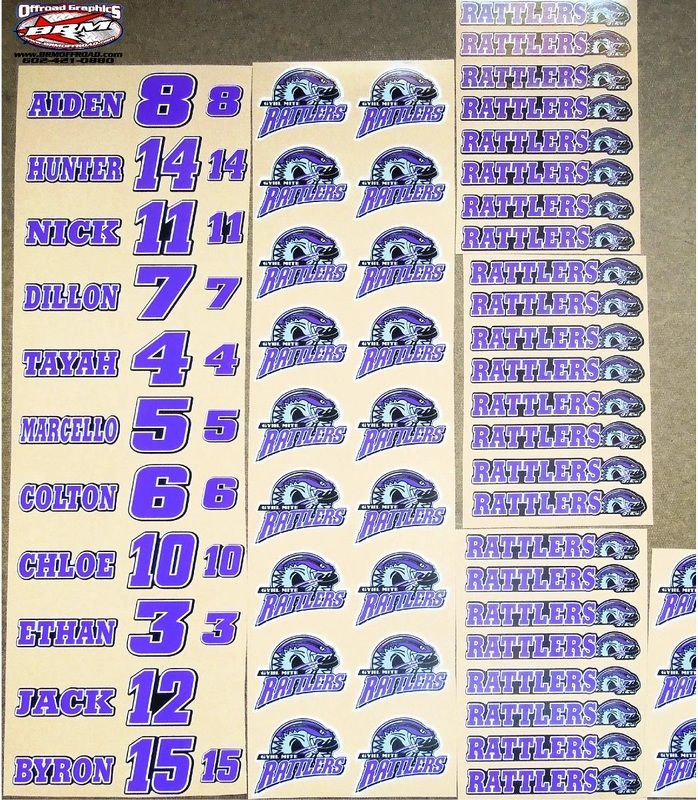 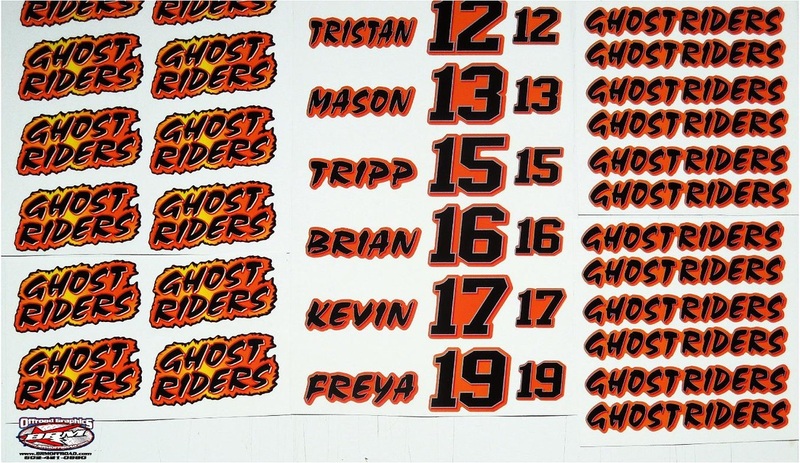 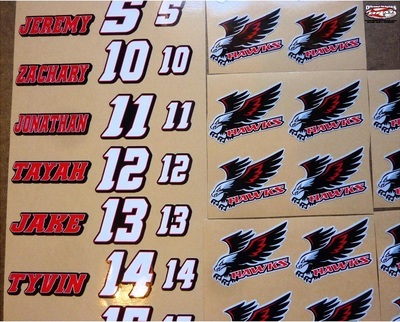 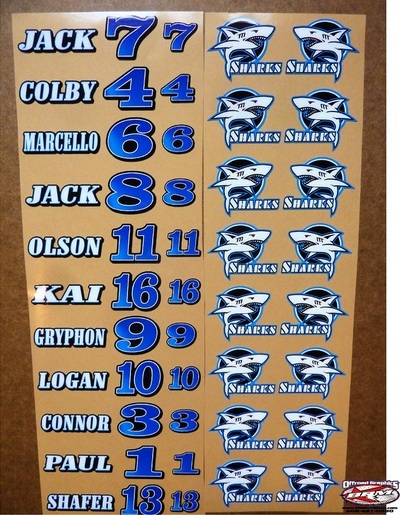 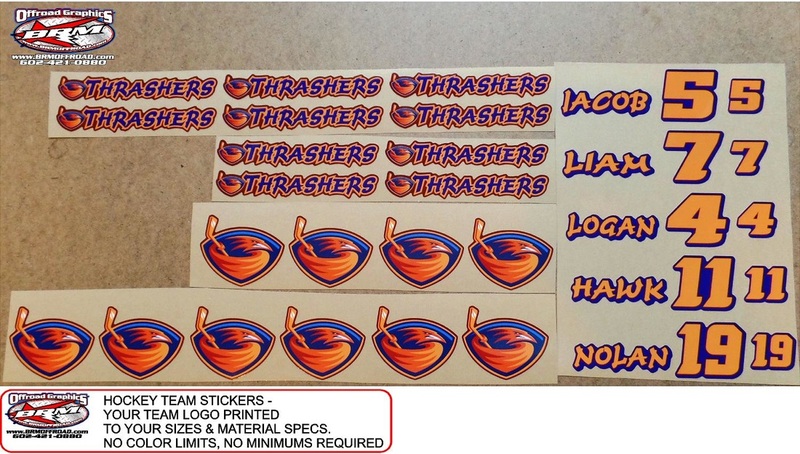 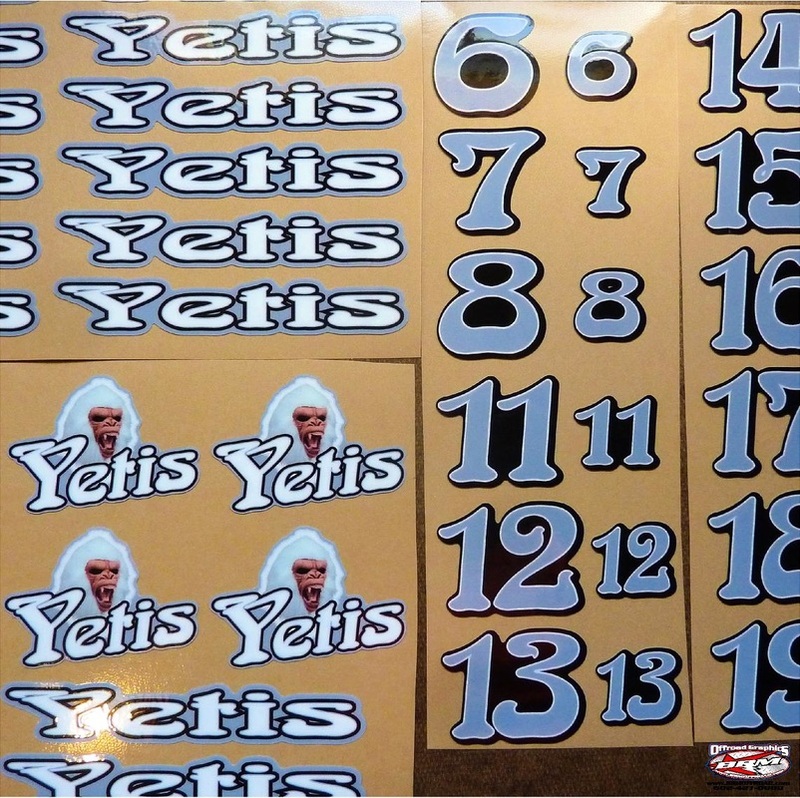 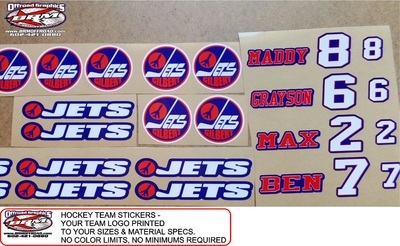 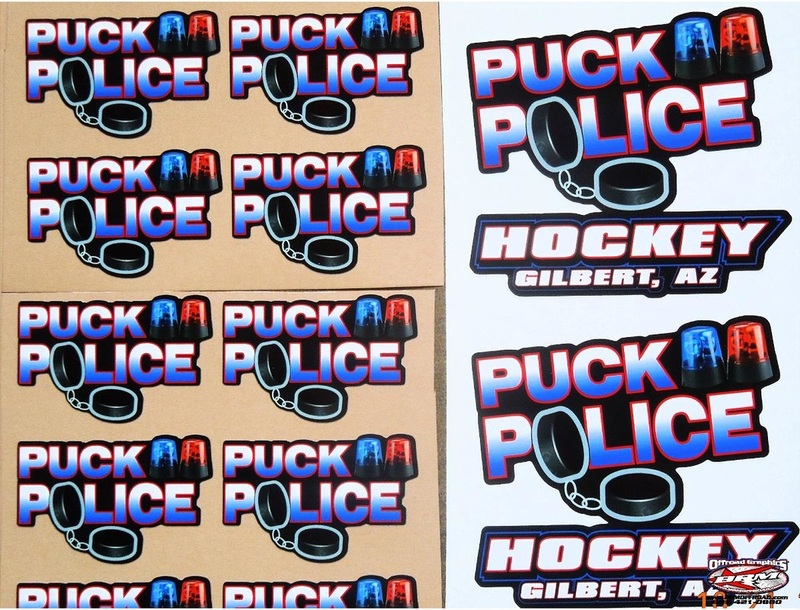 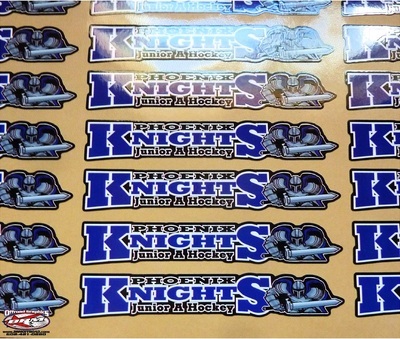 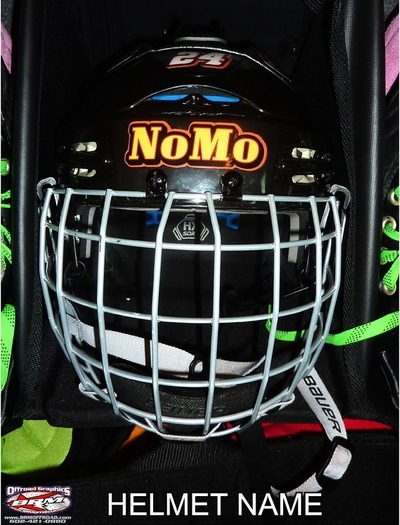 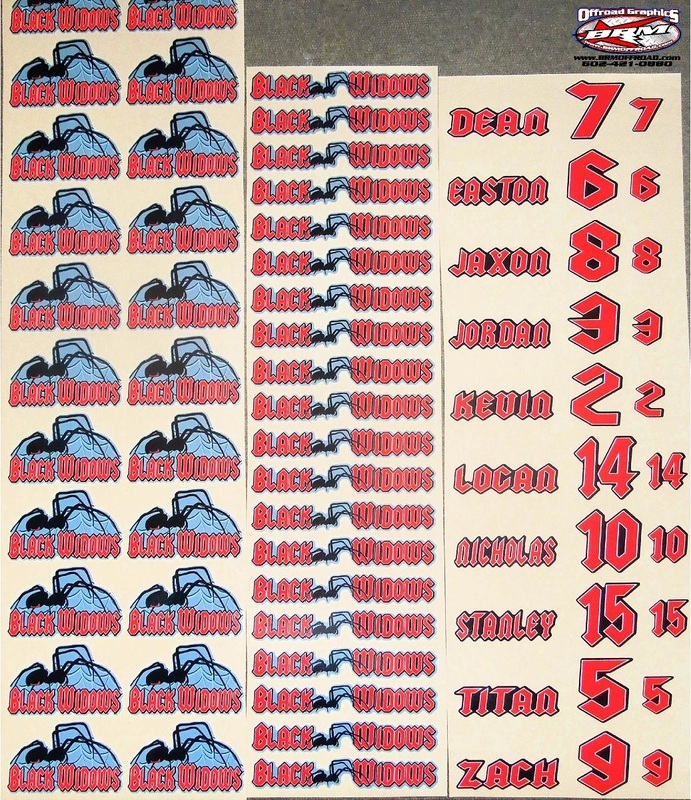 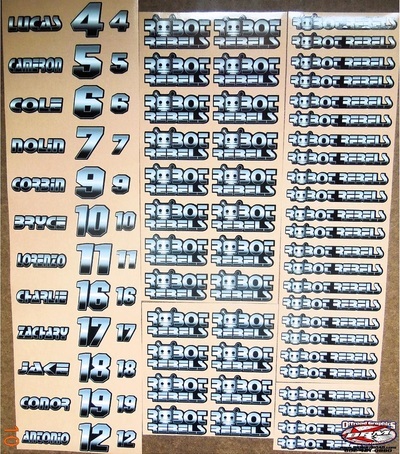 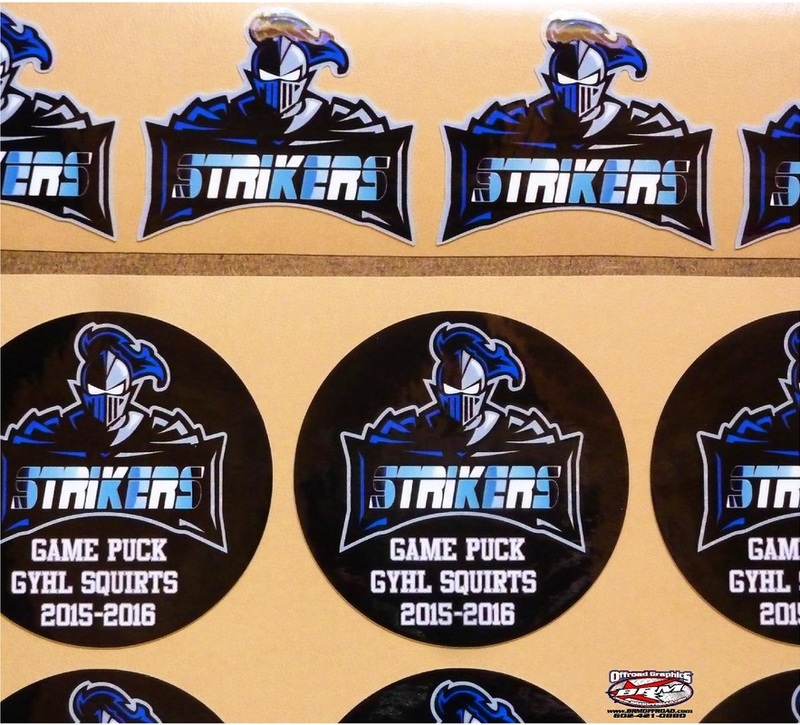 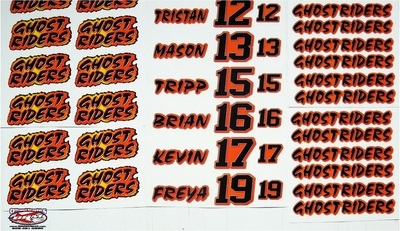 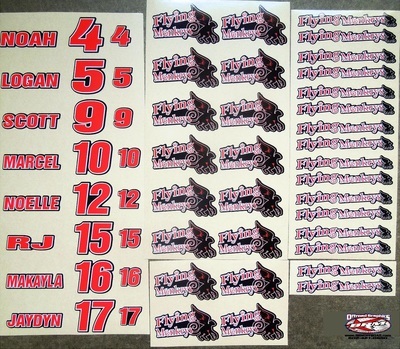 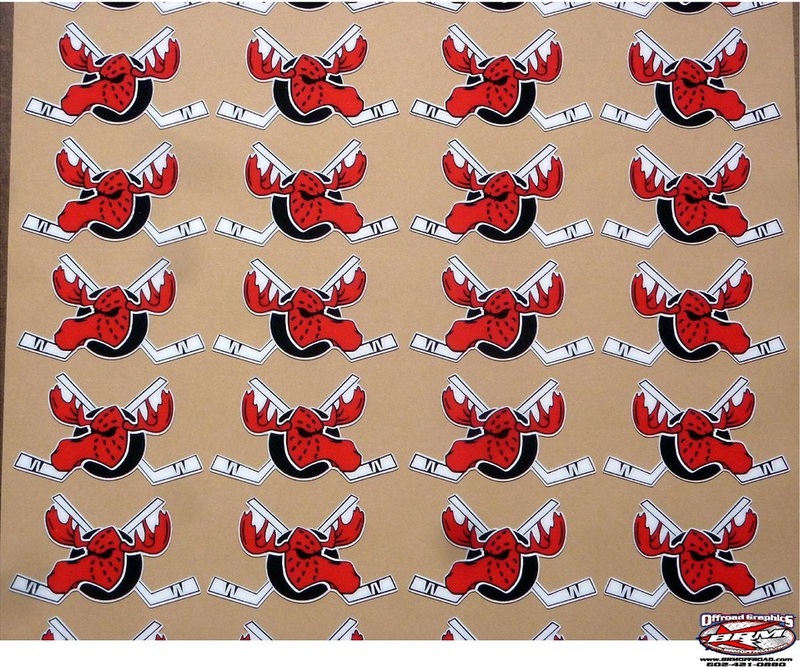 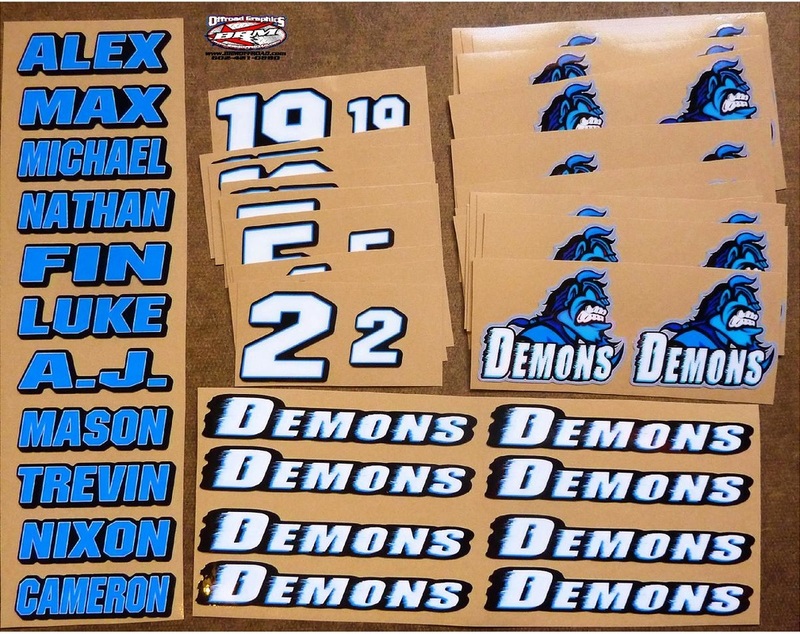 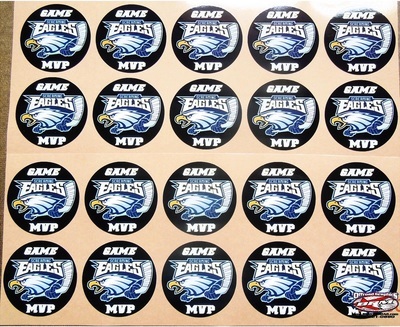 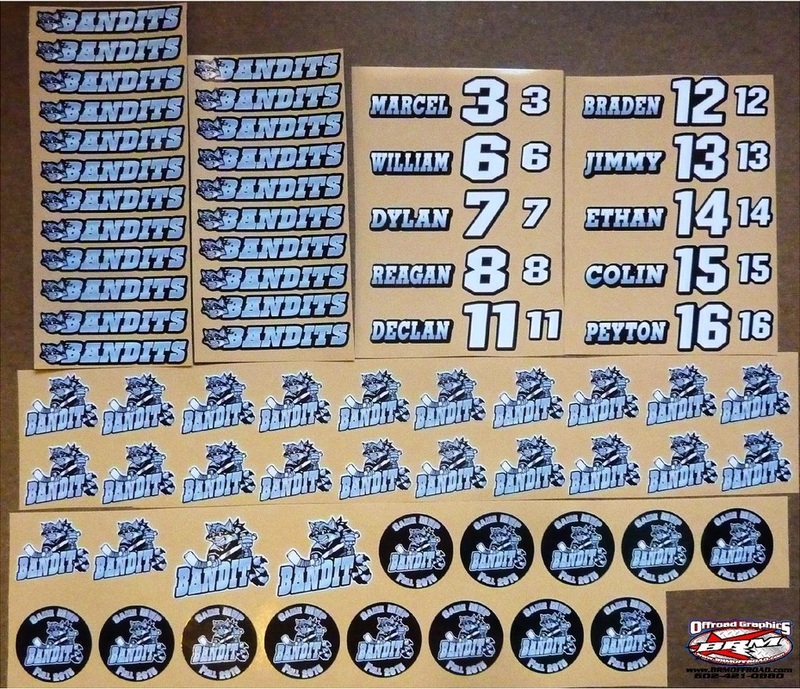 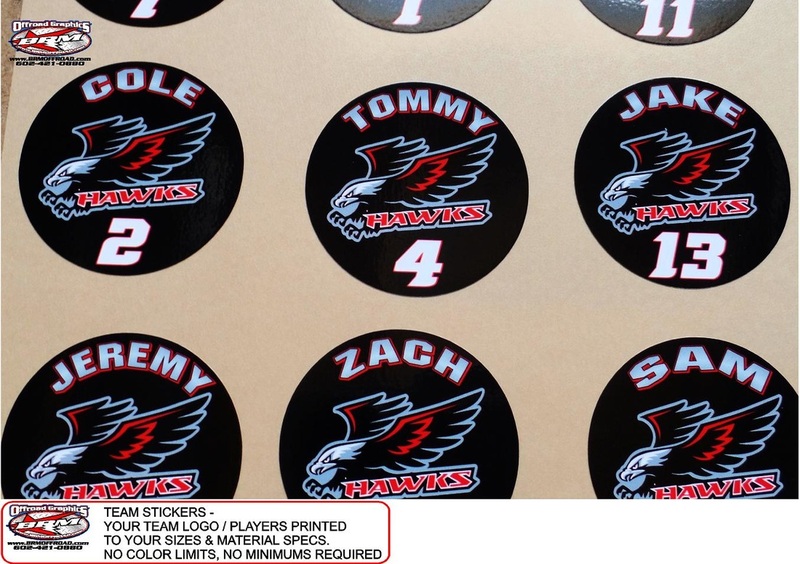 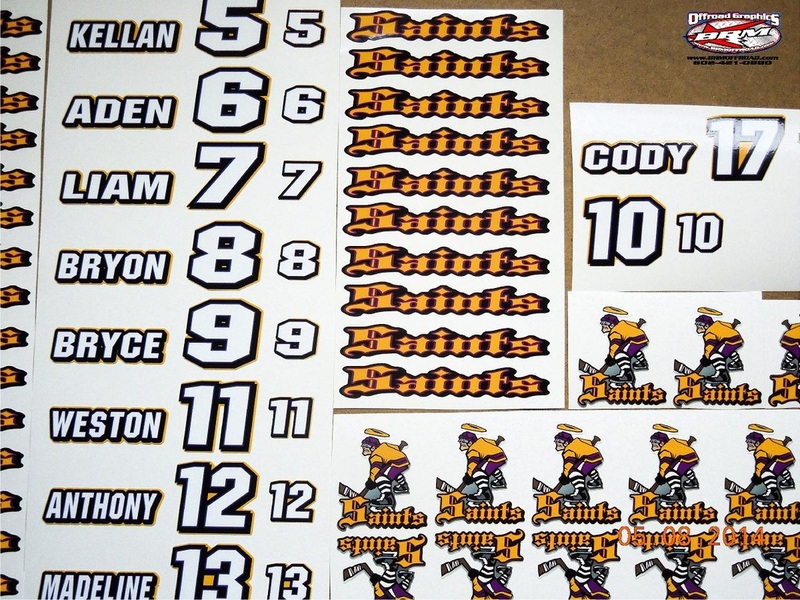 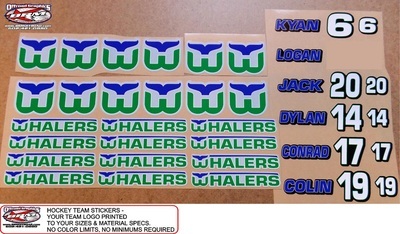 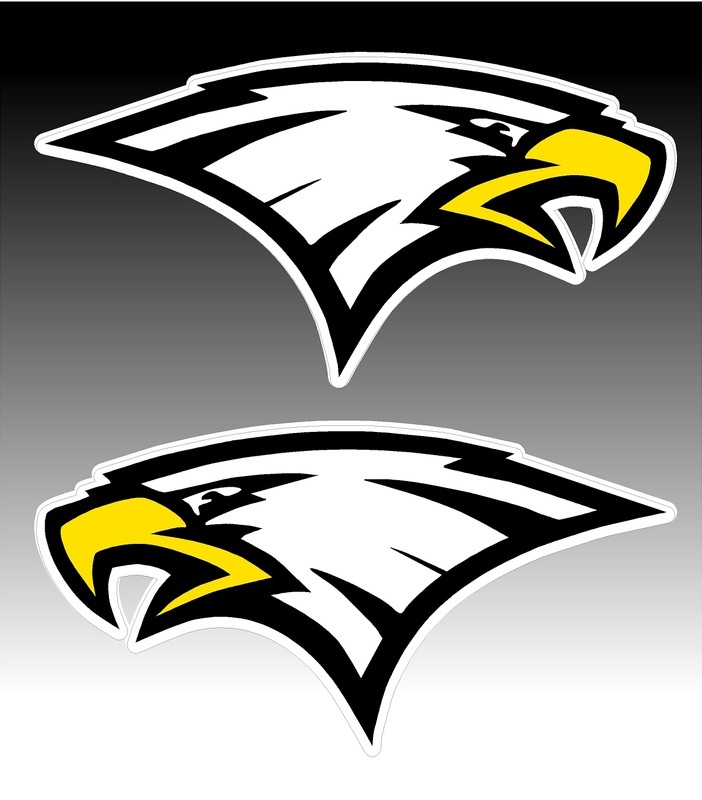 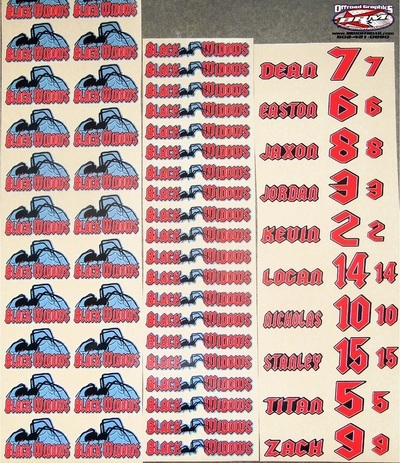 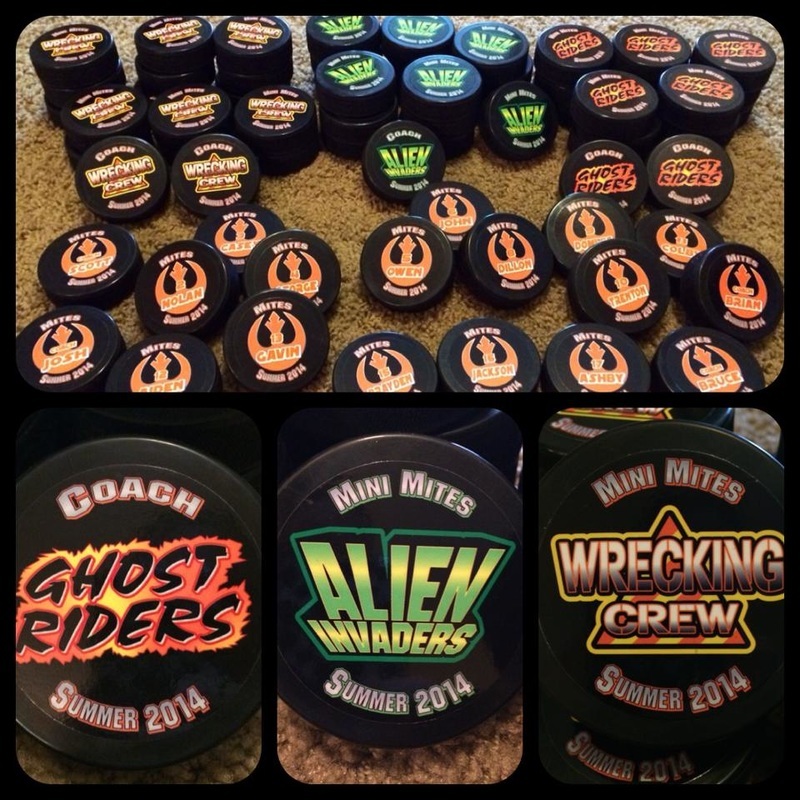 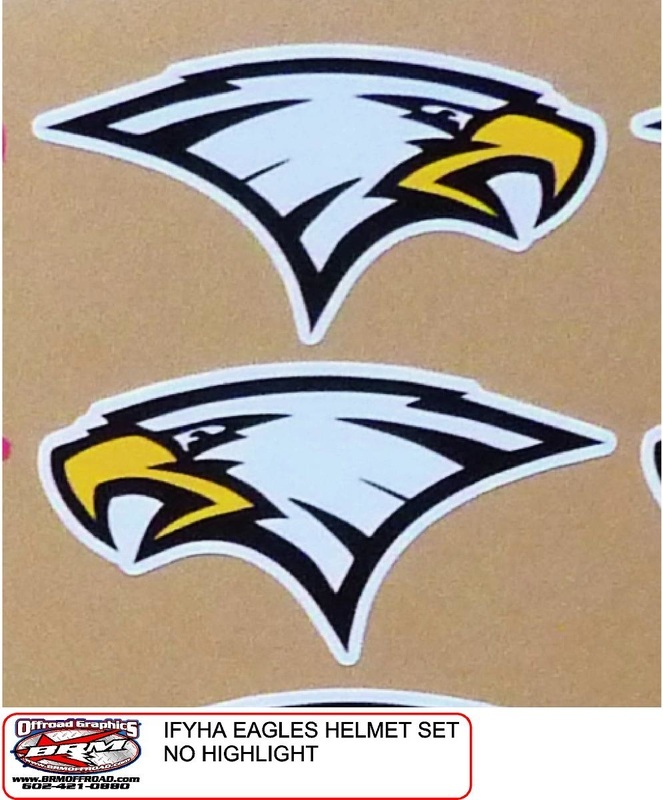 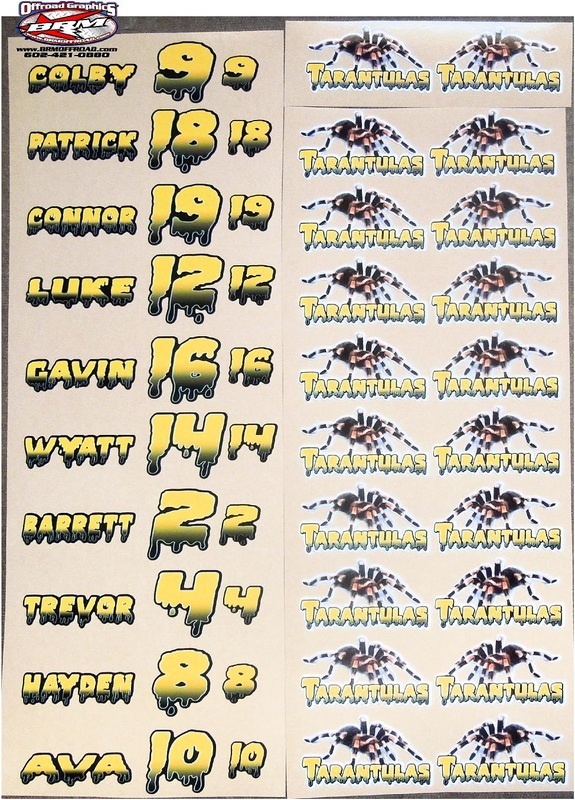 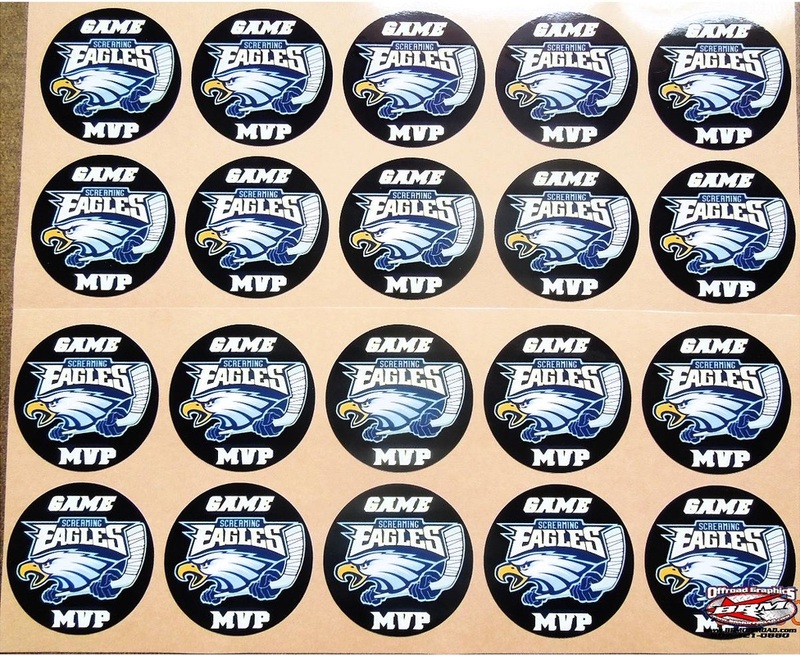 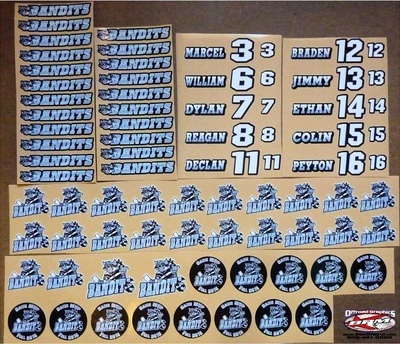 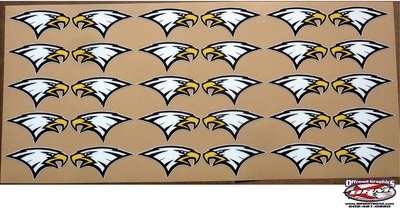 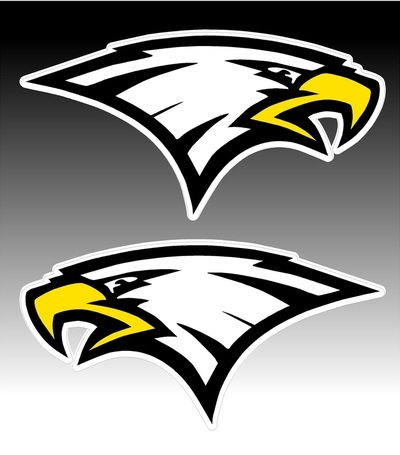 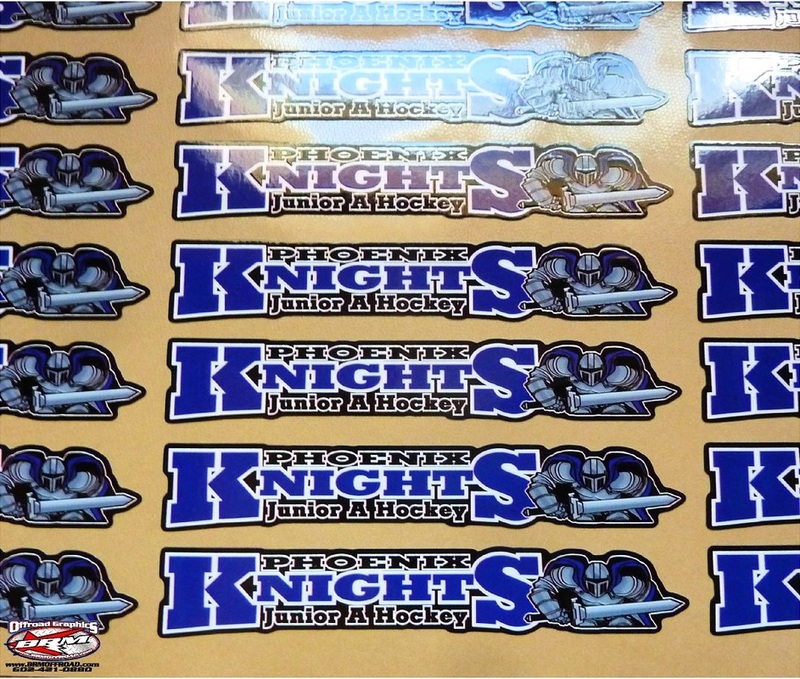 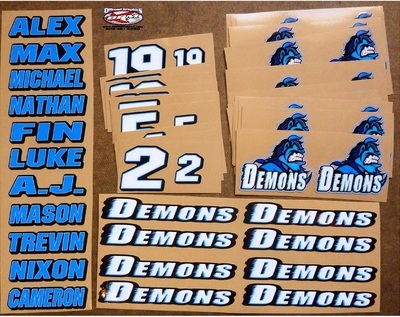 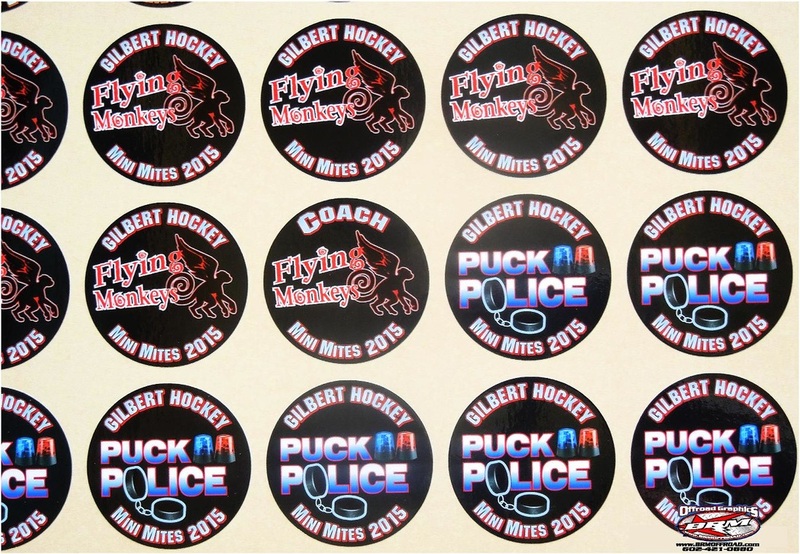 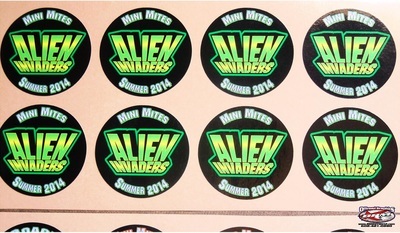 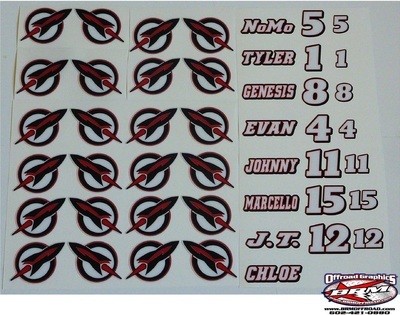 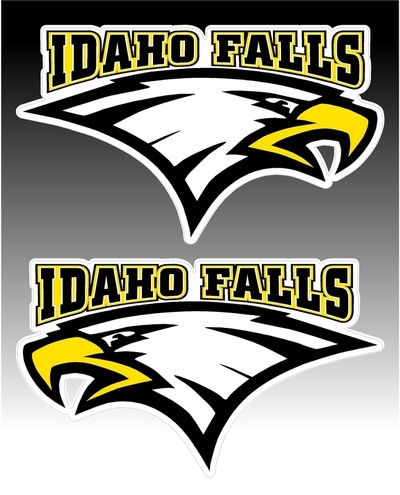 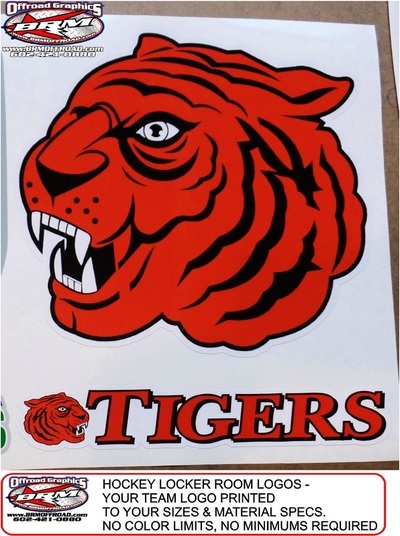 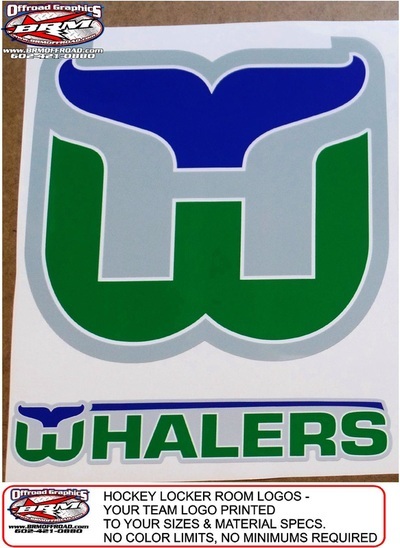 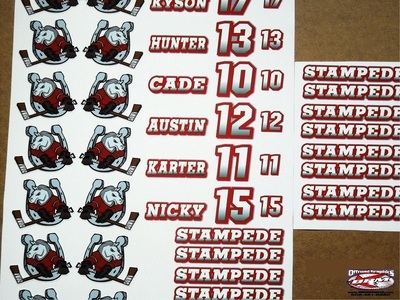 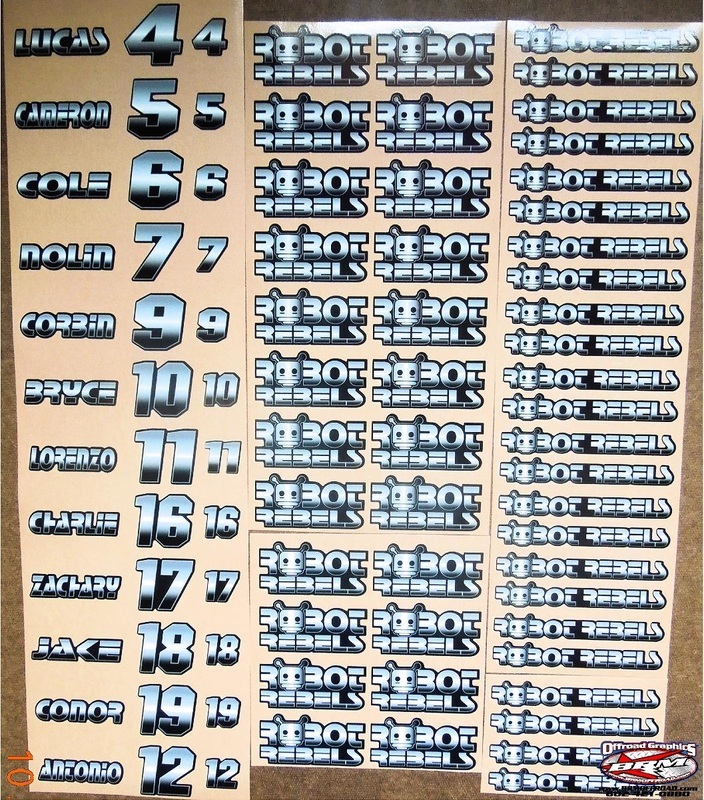 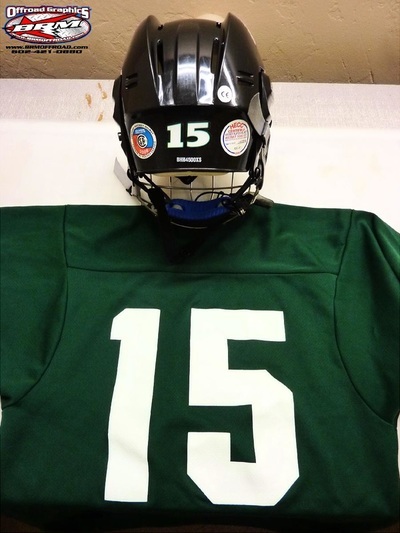 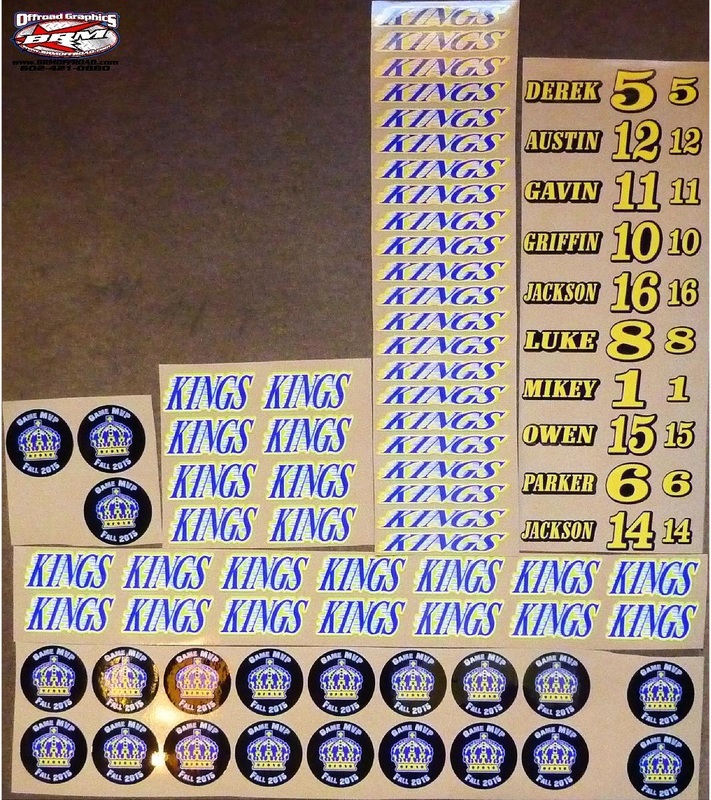 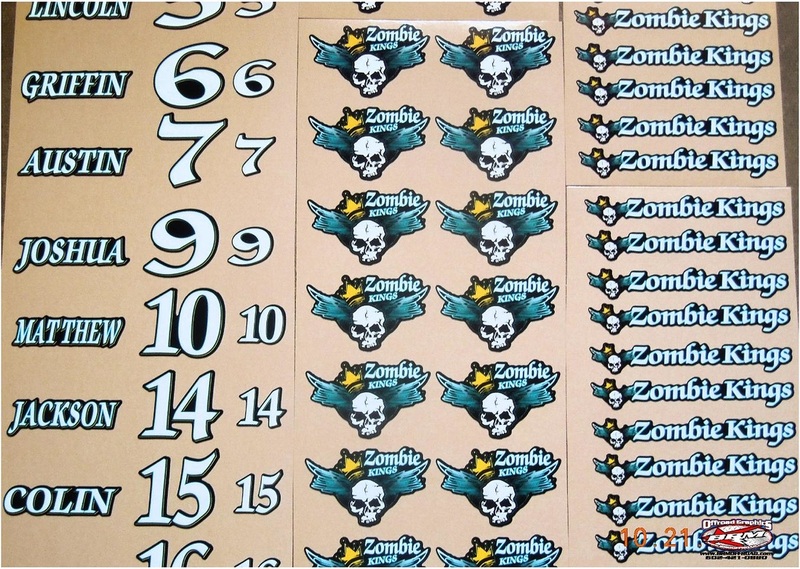 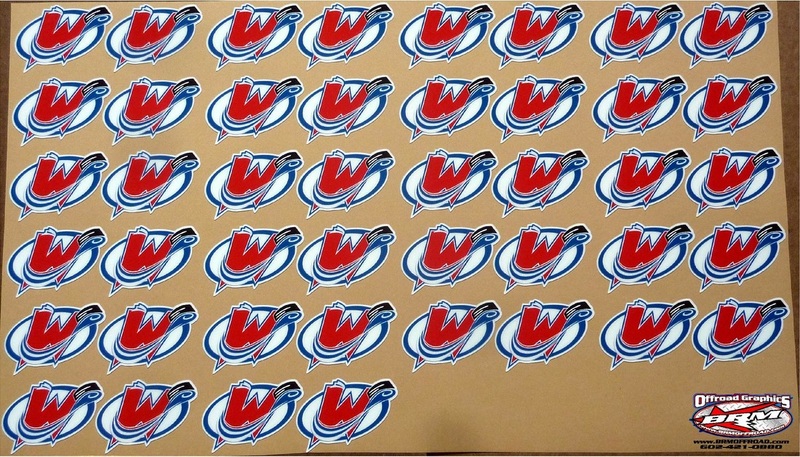 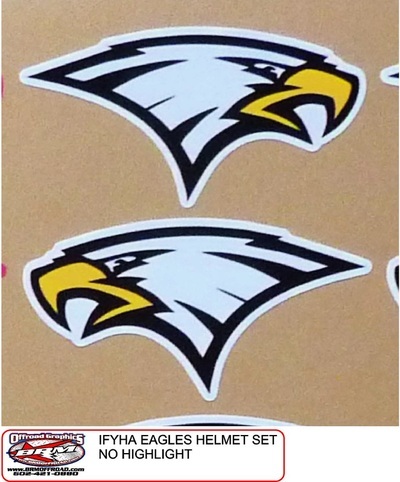 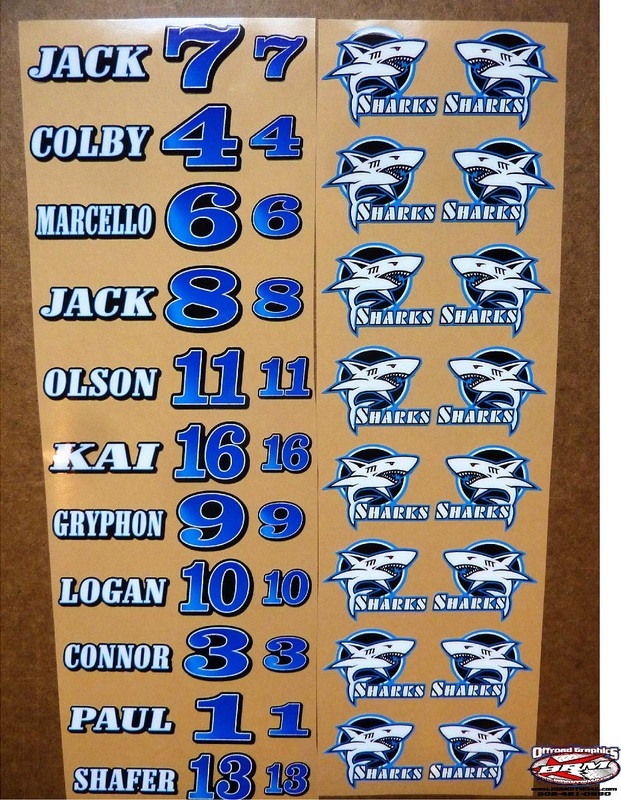 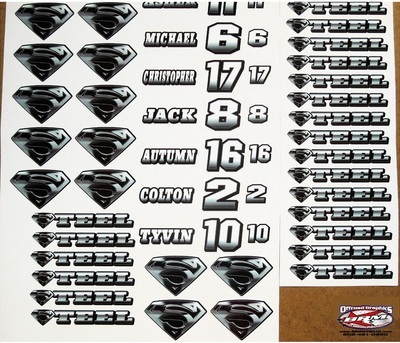 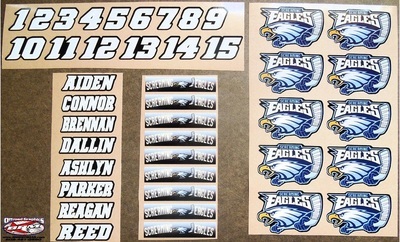 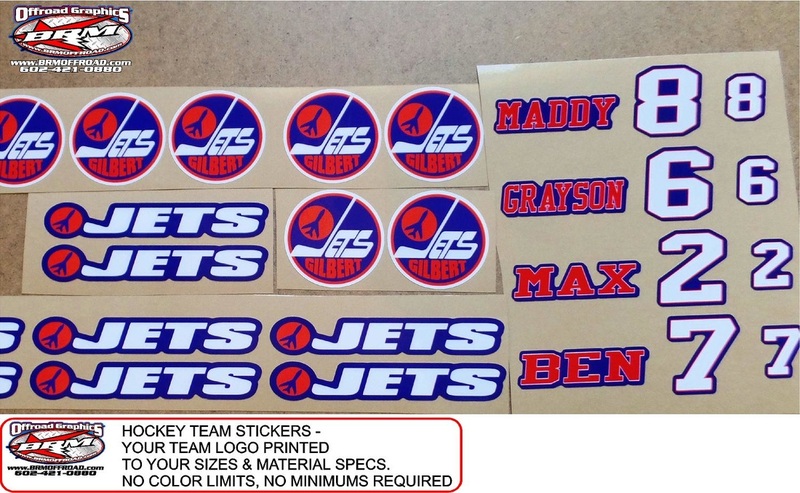 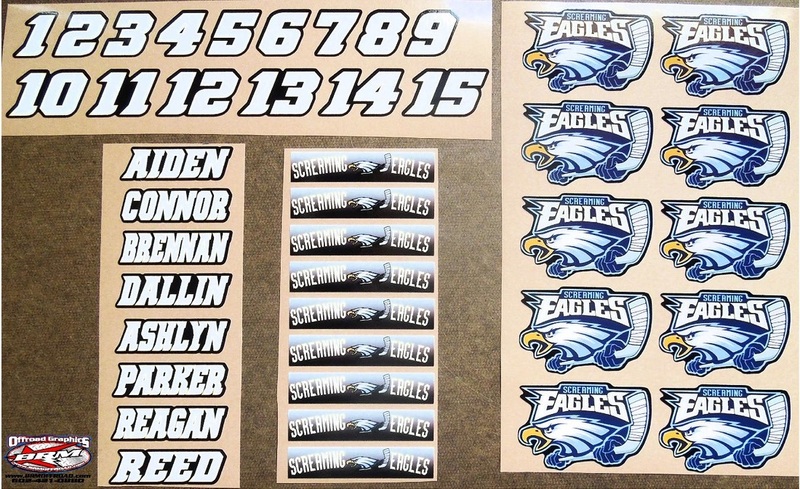 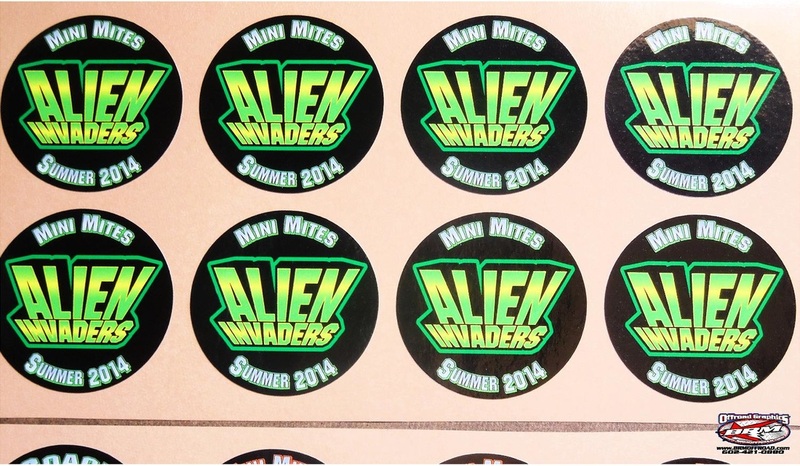 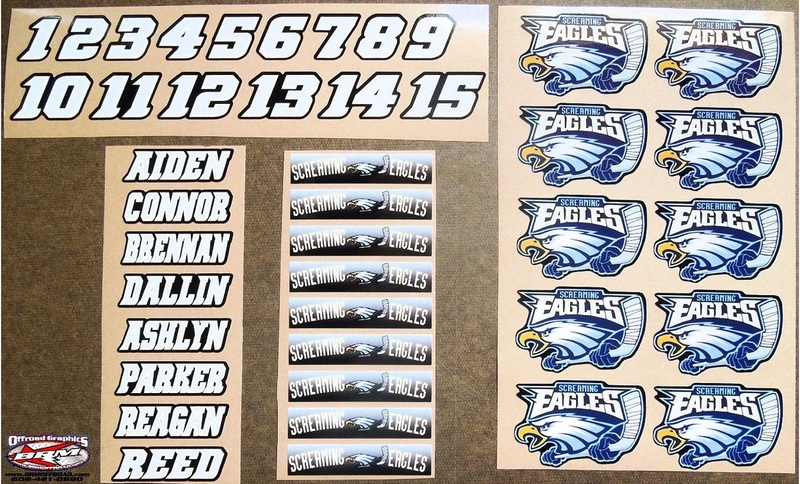 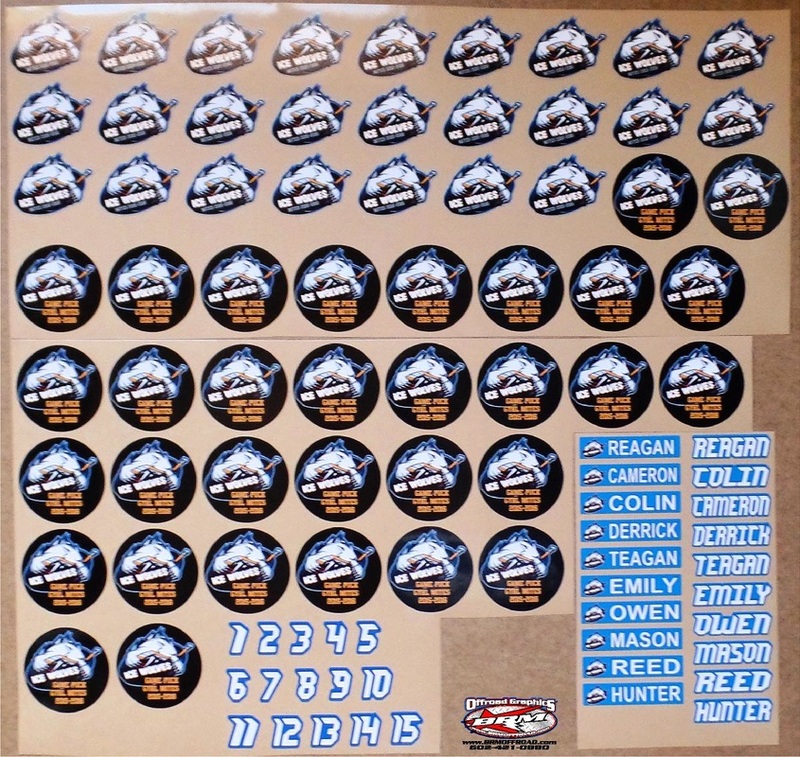 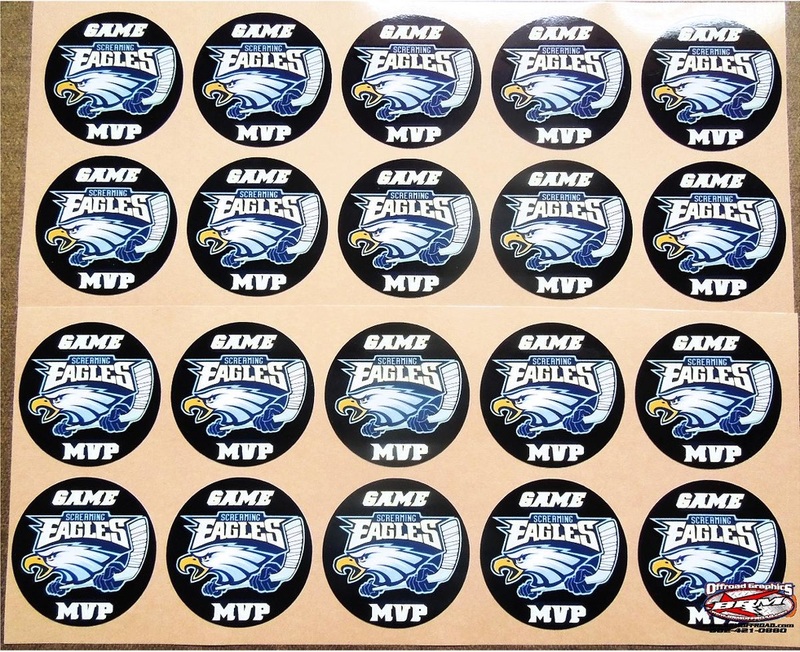 Receive the same high-quality, fast turn around, on individual or team helmet logo's, names, numbers, stick decals, puck stickers, vehicle decals, locker room door logos (on magnetic for versatility), or jersey lettering. When we're not playing in the dirt, we're rink rats just like you. 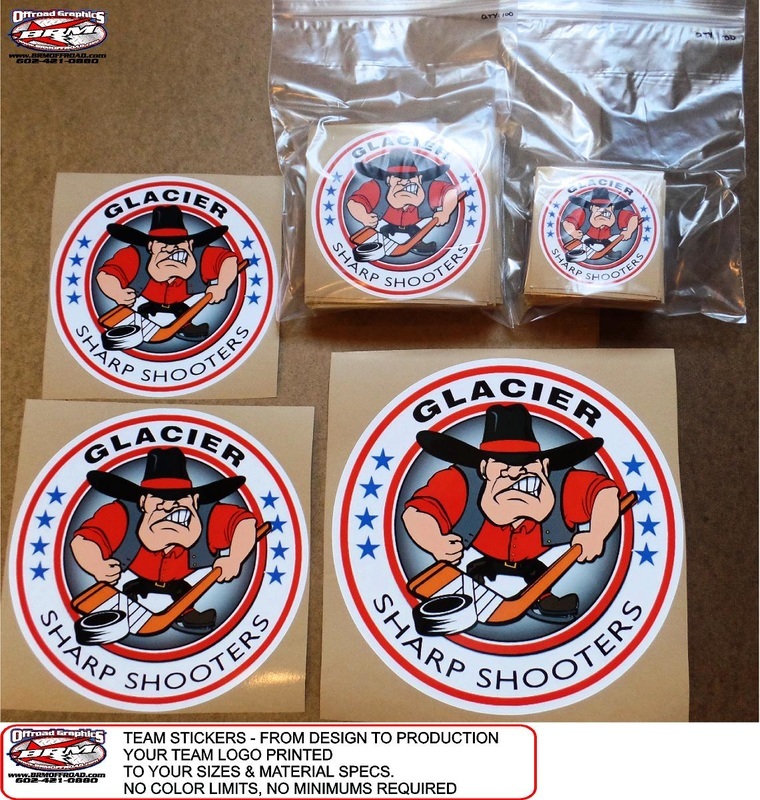 Give us a call or shoot us an email and we'll get your team set up. 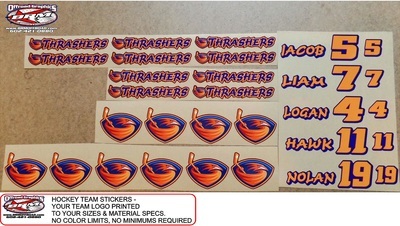 We always email free proofs before we print to make sure you and your team are getting exactly what you want. 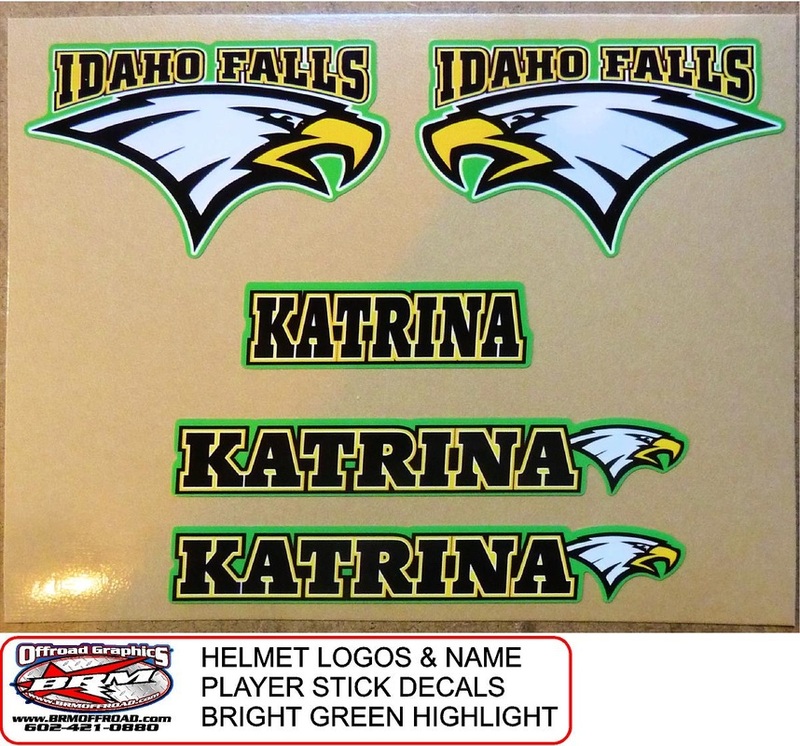 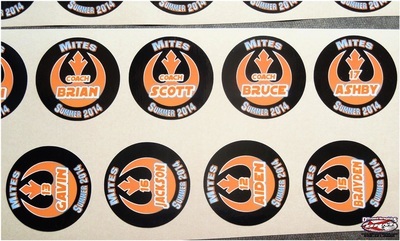 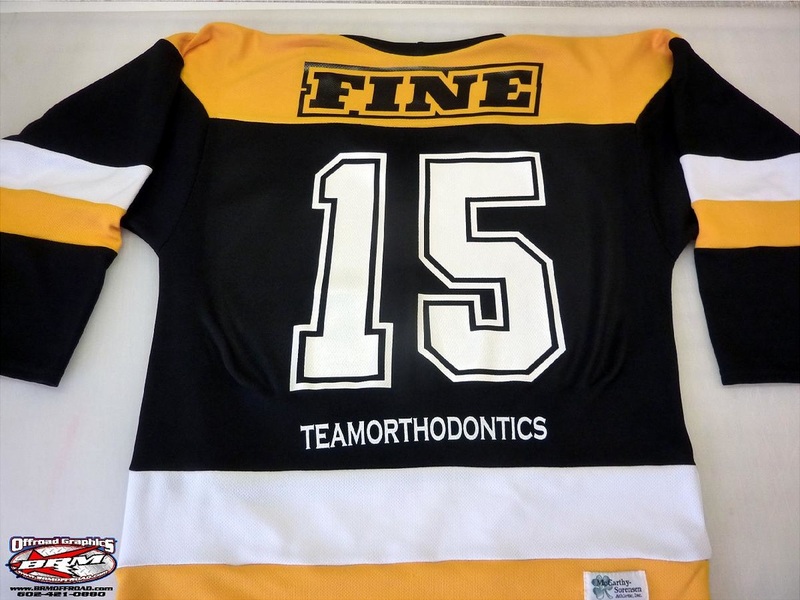 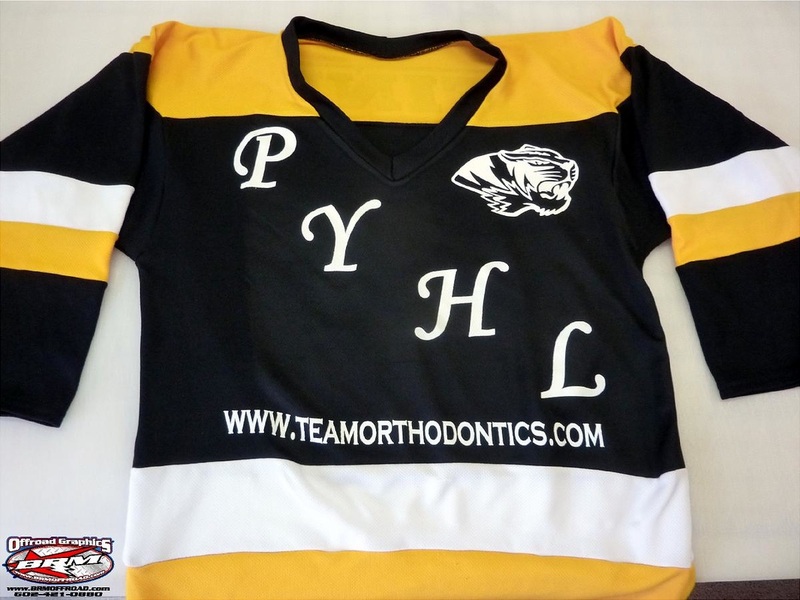 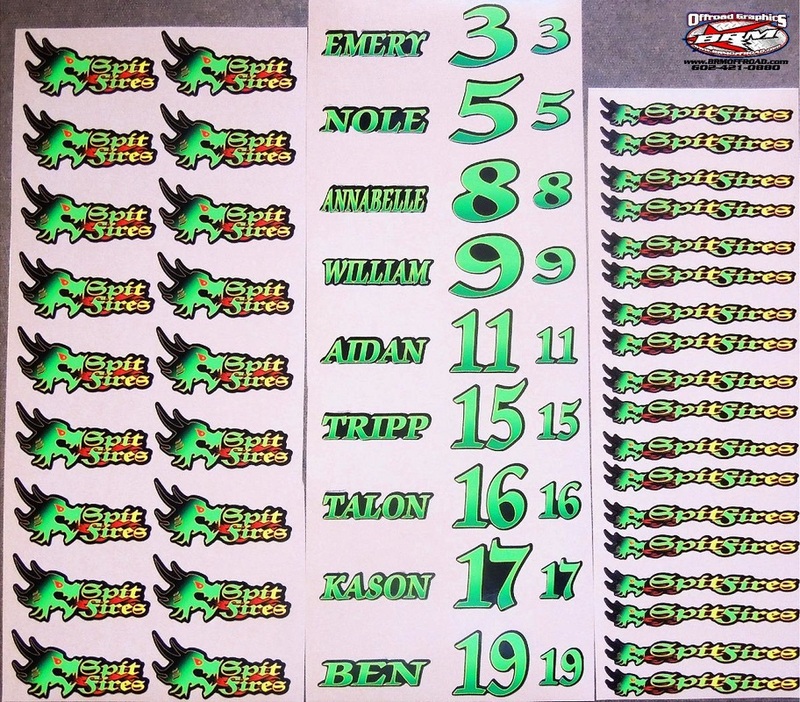 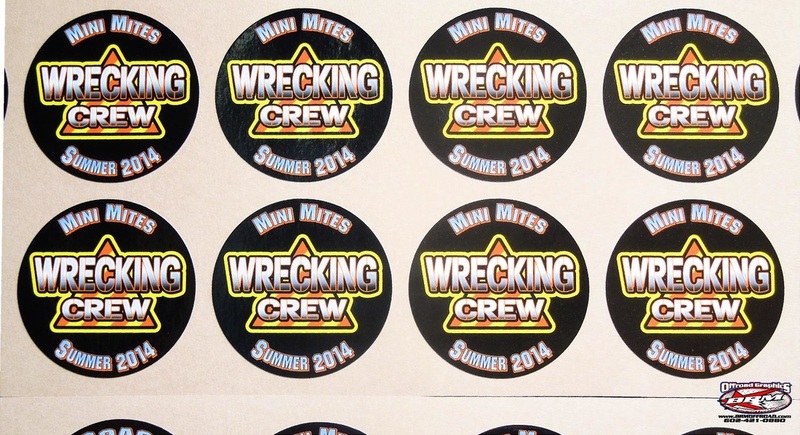 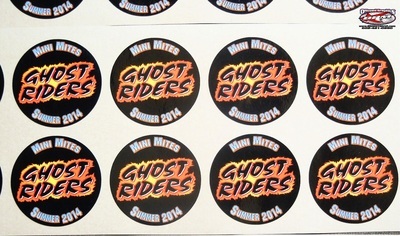 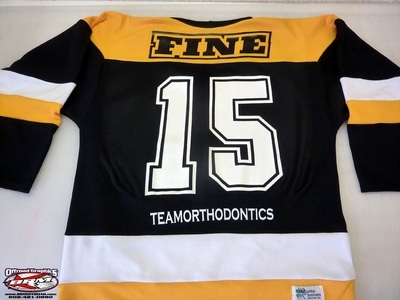 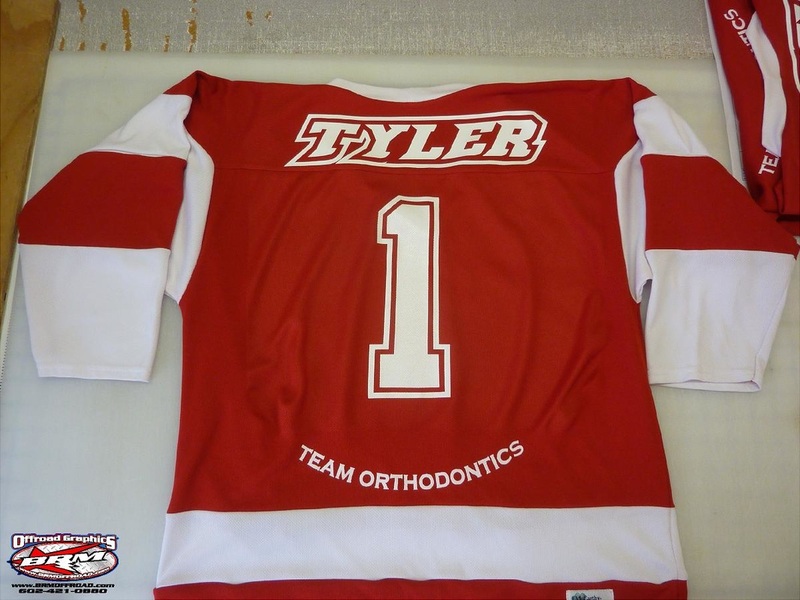 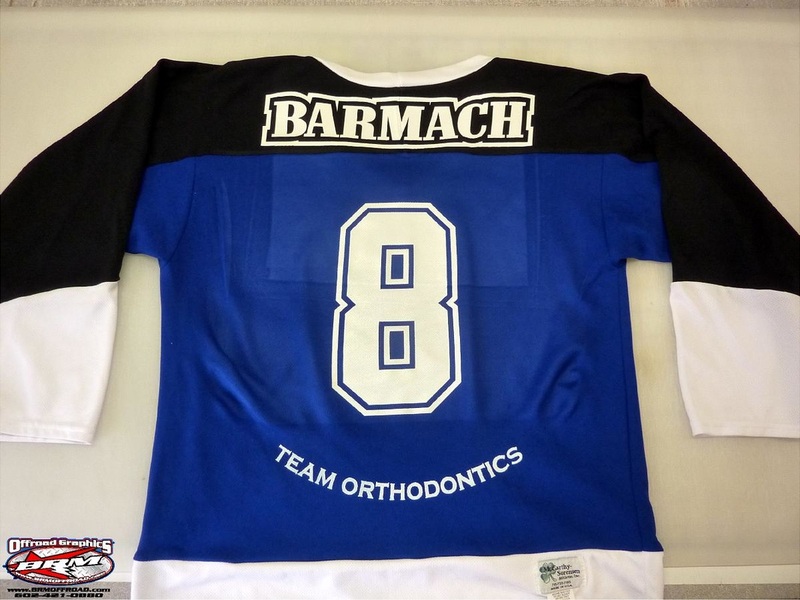 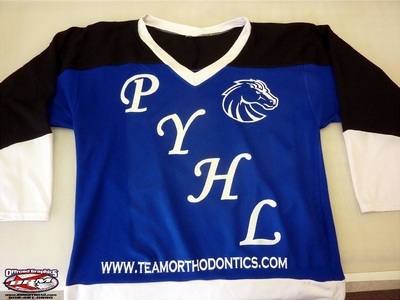 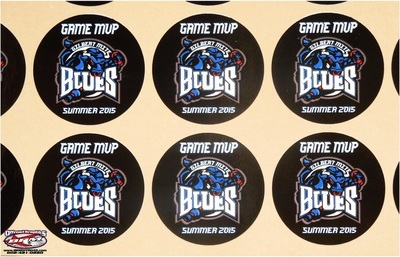 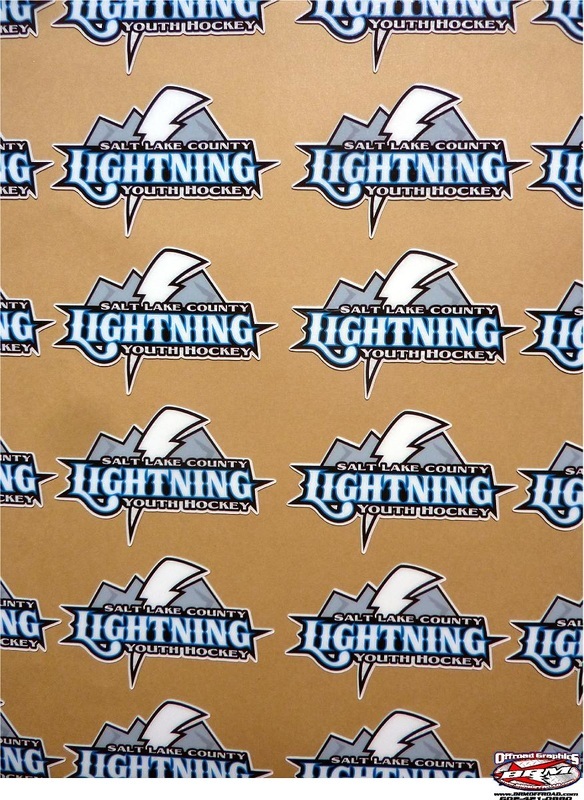 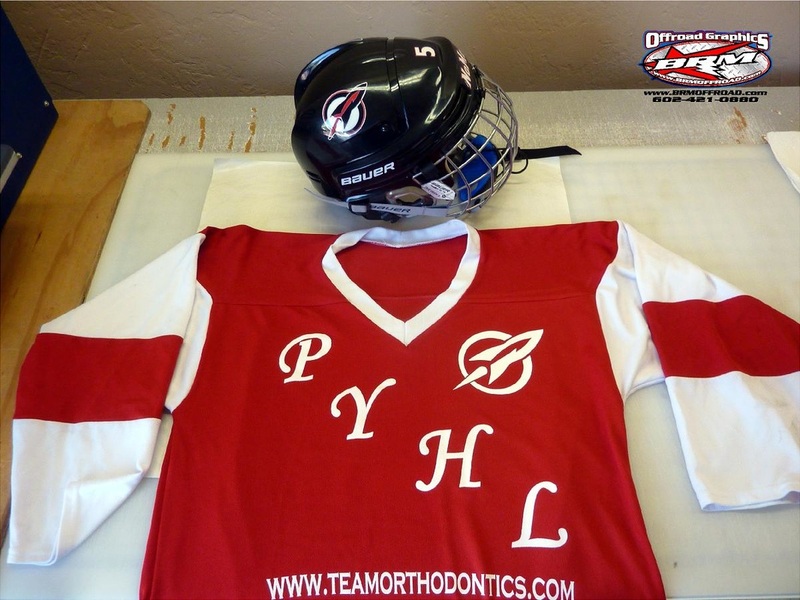 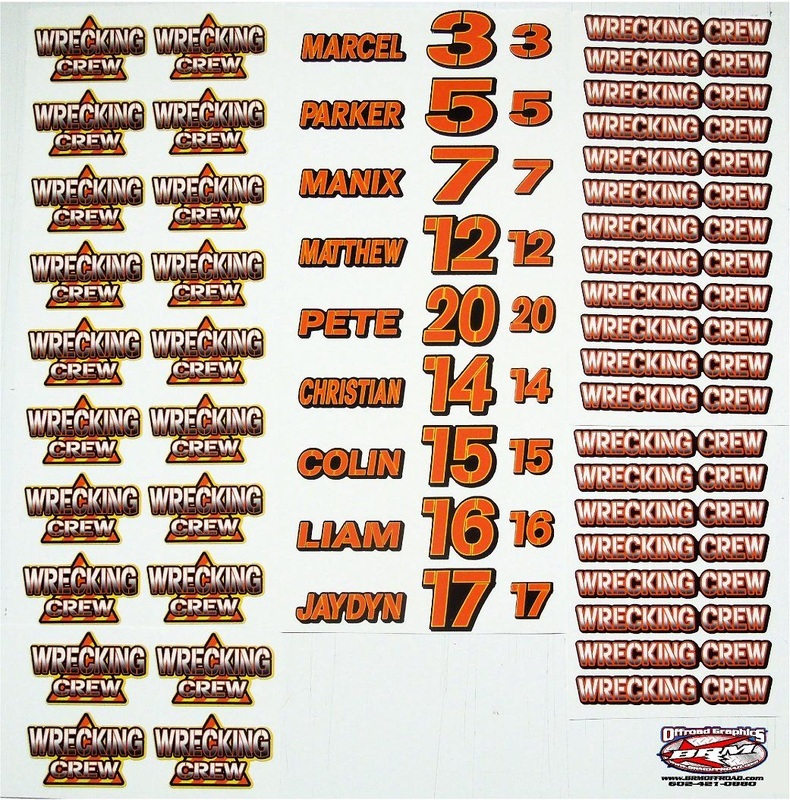 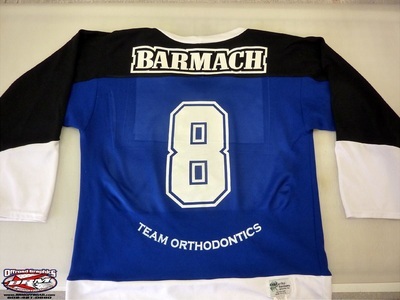 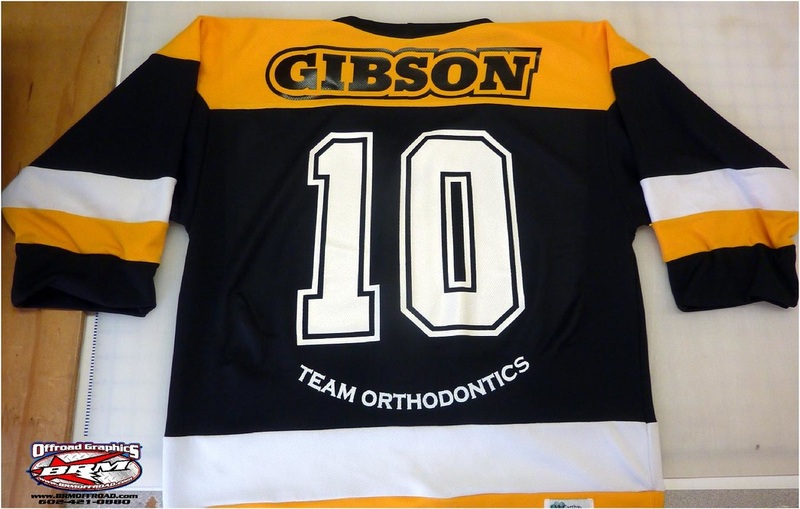 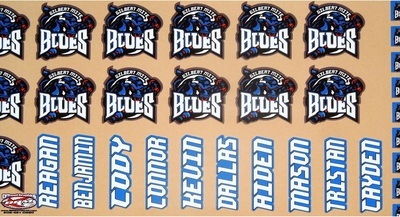 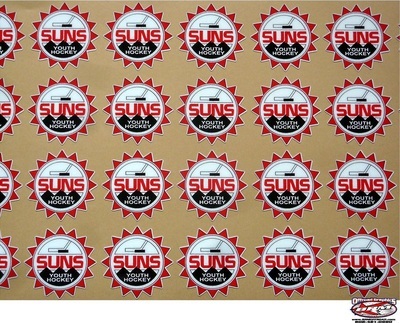 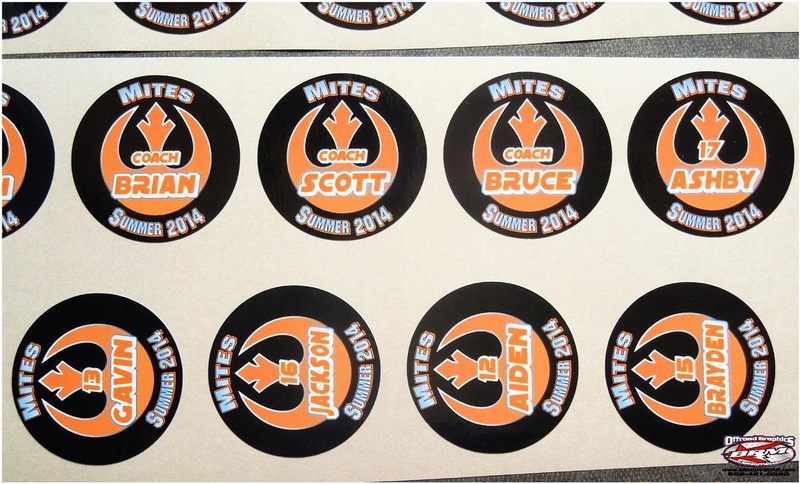 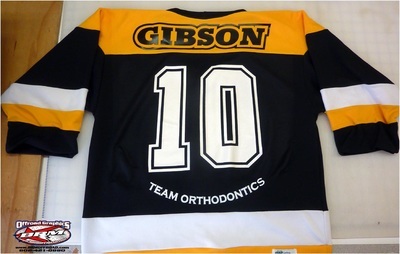 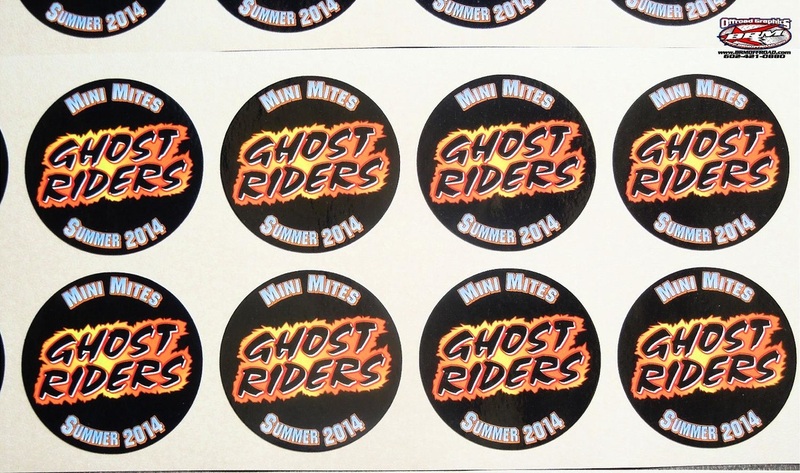 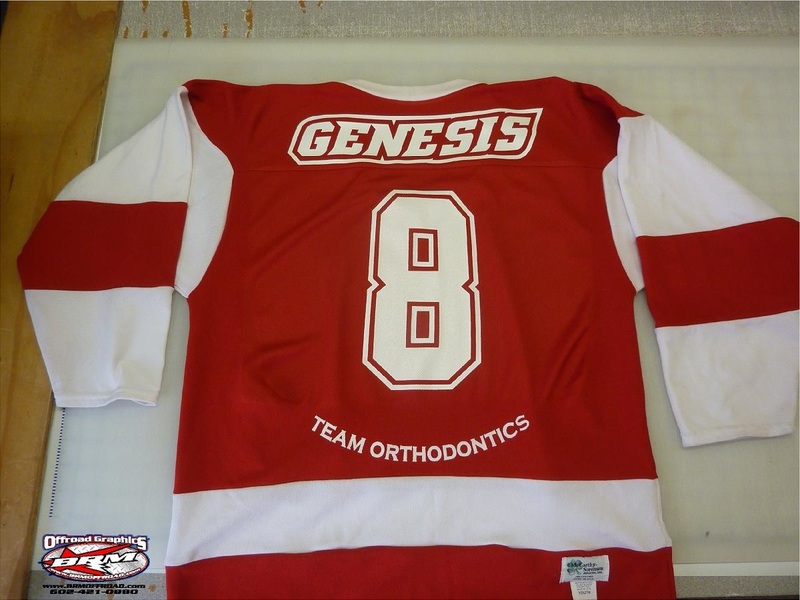 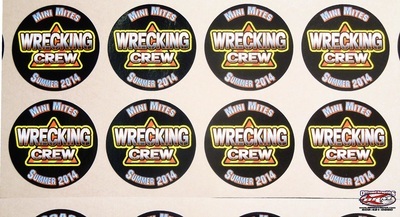 Your logo, or we can design your team logo, printed to your material and color specifications. 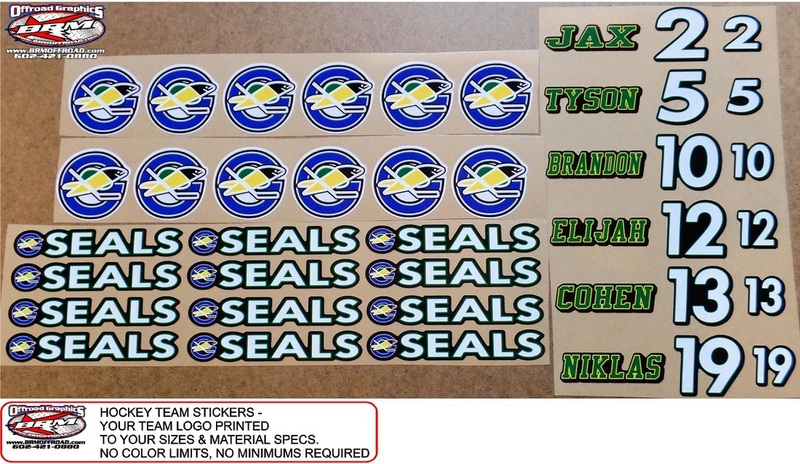 No color limits per logo and no minimum quantities required. 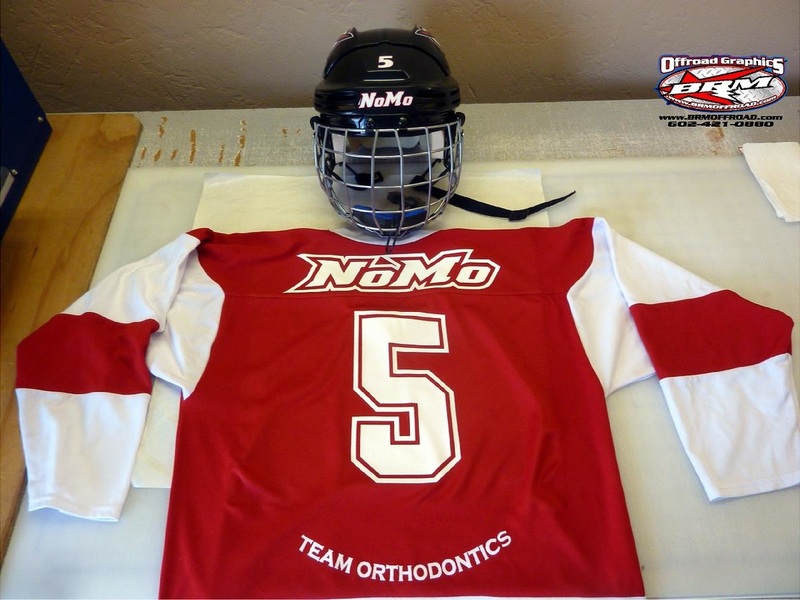 Give us a call or email us and we'll get you and your team set up.